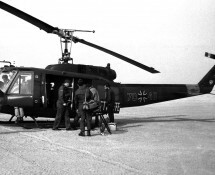 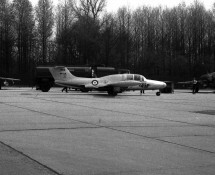 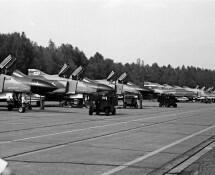 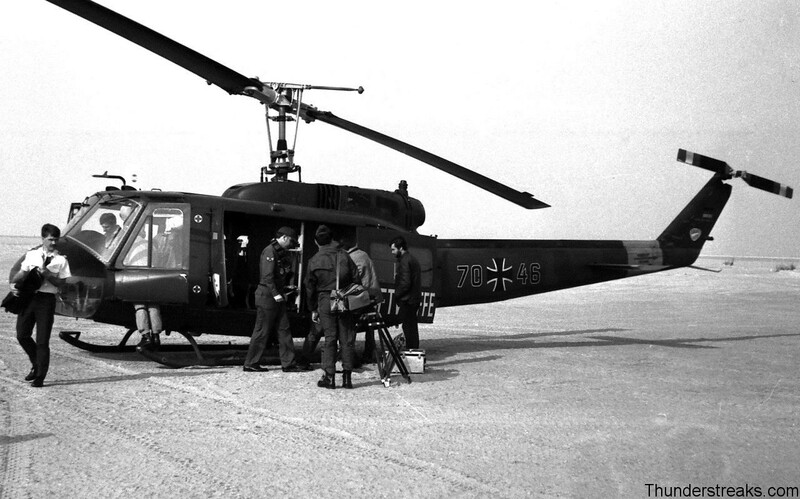 The 1976 TWM (Tactical Weapons Meet) was the 12th edition of central Europe’s tactical attack competion. 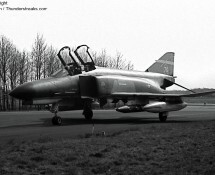 It was was held at Twente AB (NL) from 28 April till 15 May , visited by Frank on the 7th and by Hans on the 10th of May. 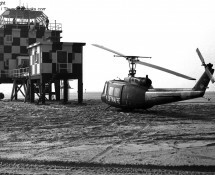 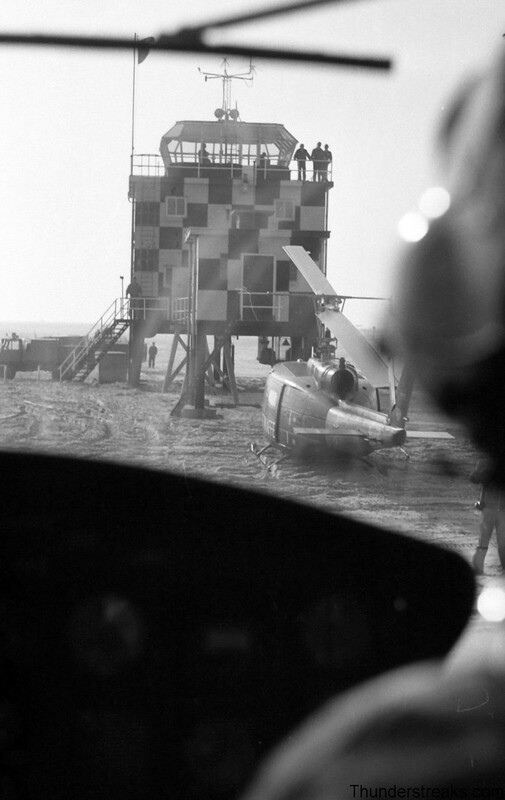 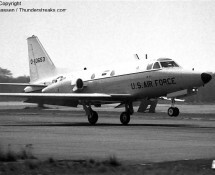 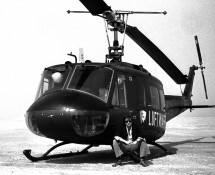 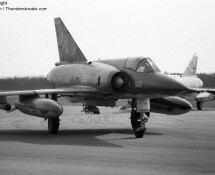 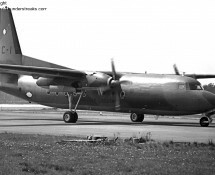 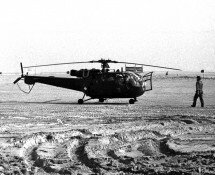 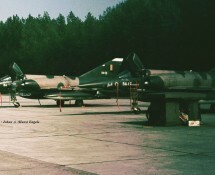 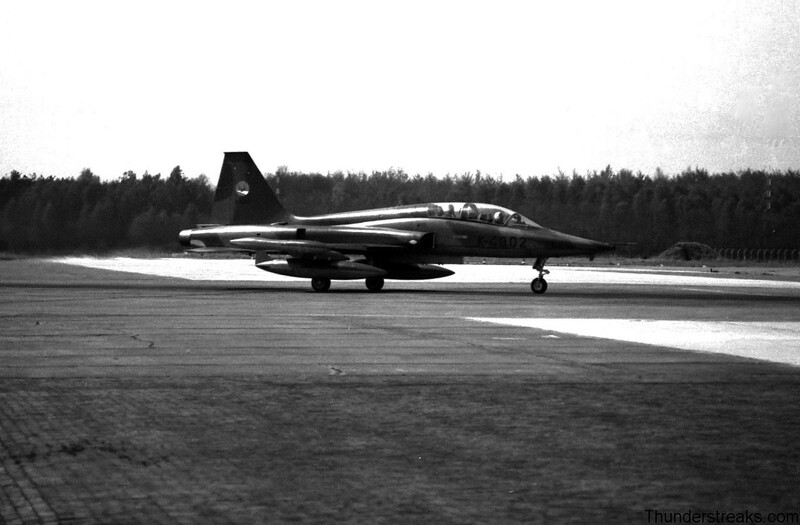 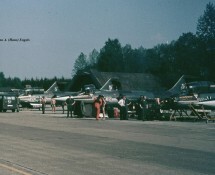 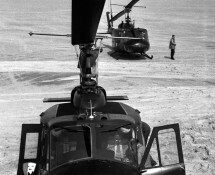 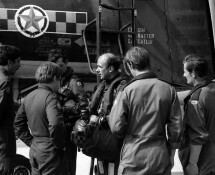 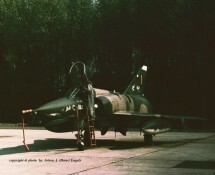 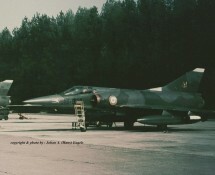 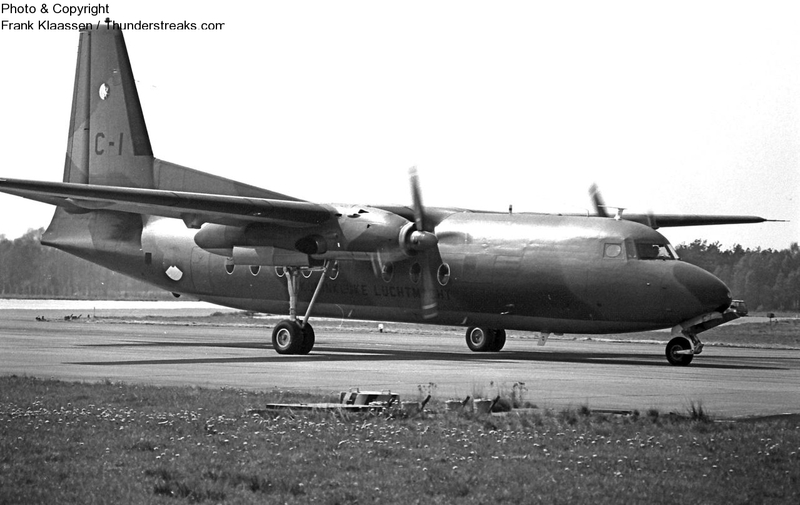 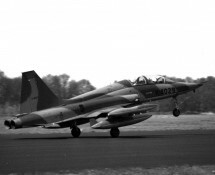 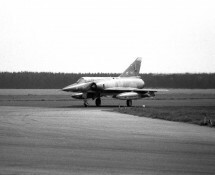 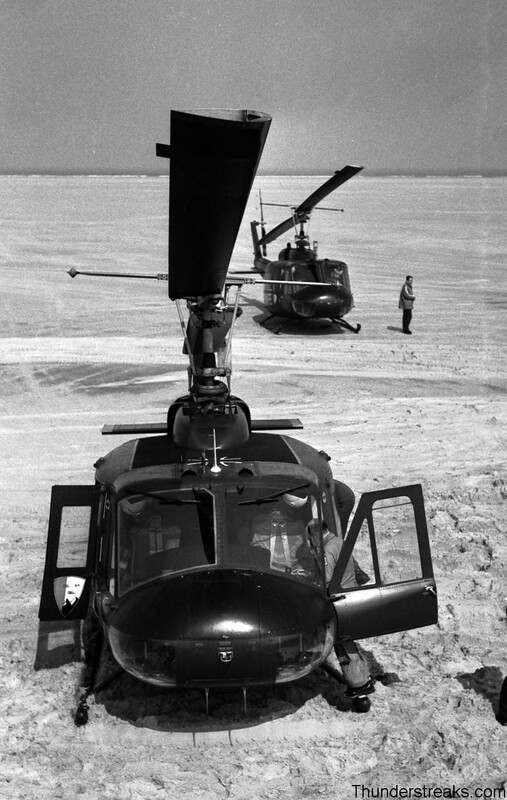 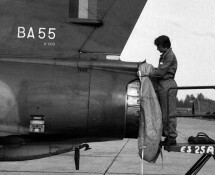 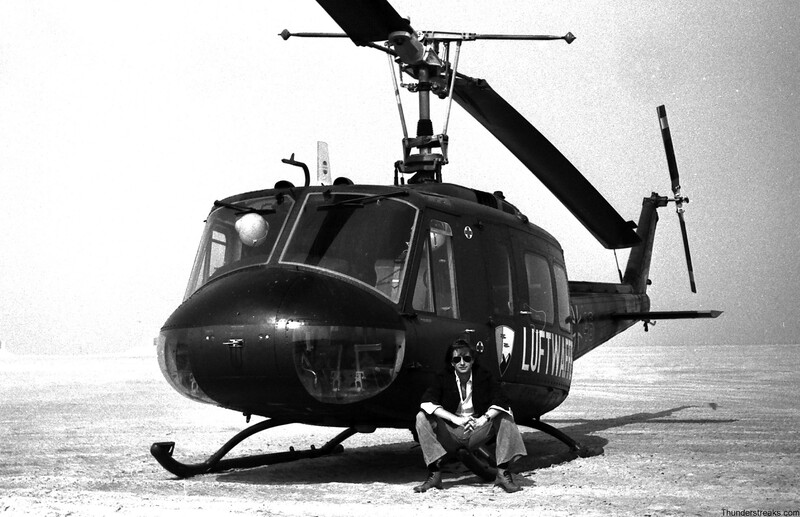 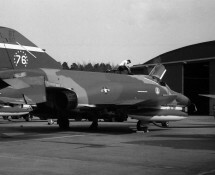 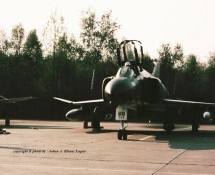 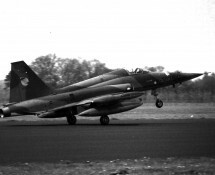 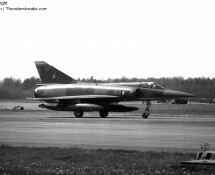 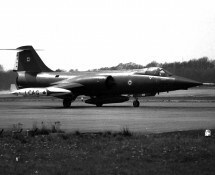 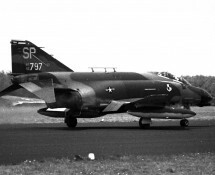 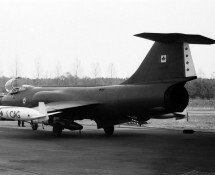 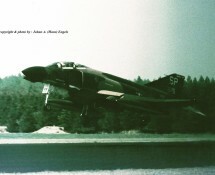 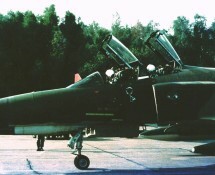 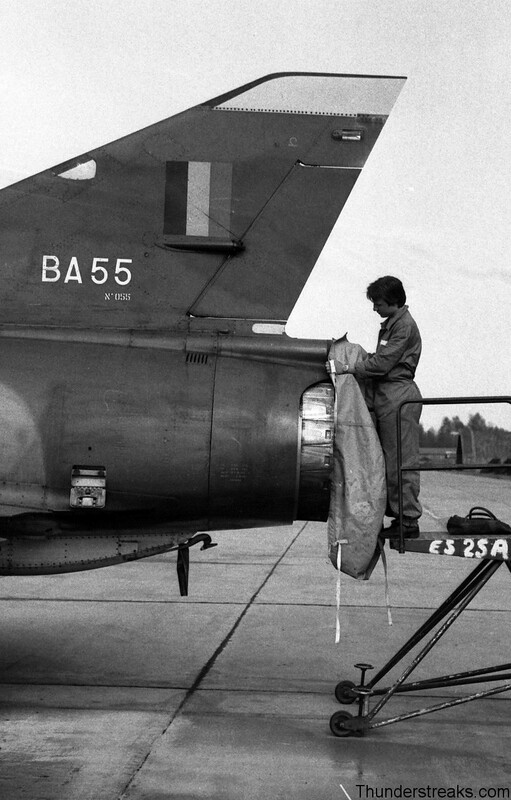 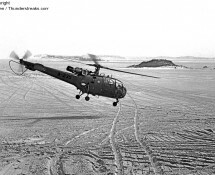 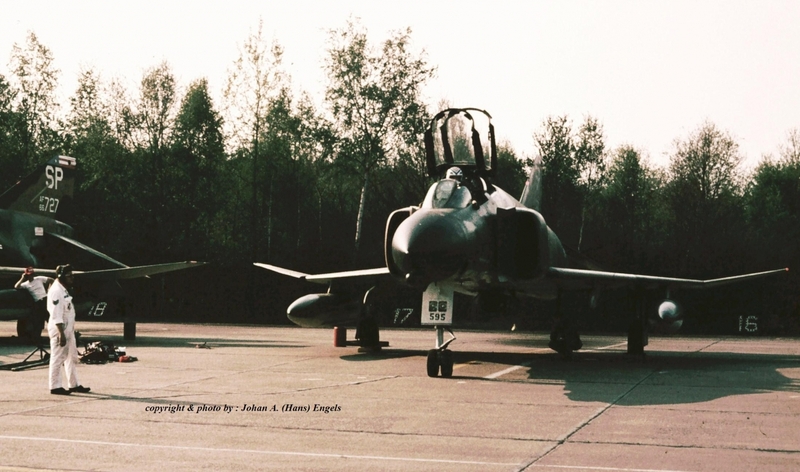 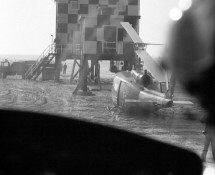 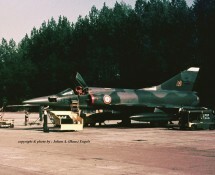 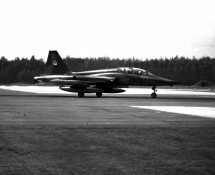 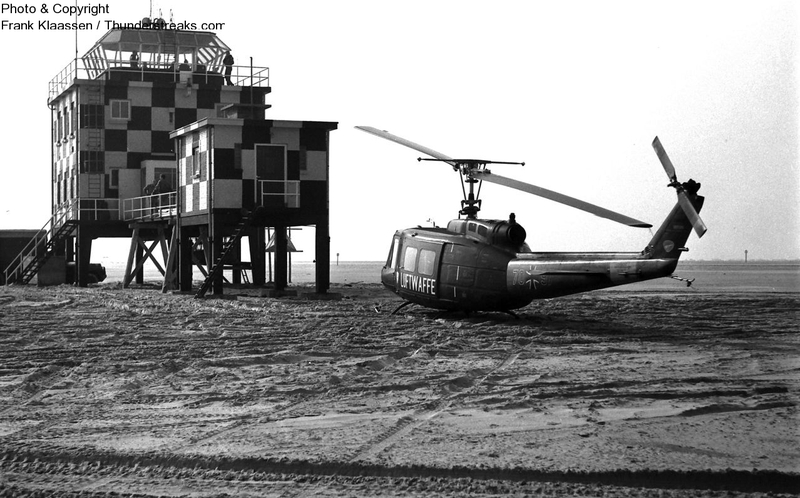 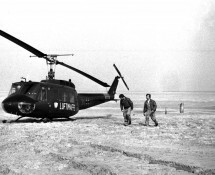 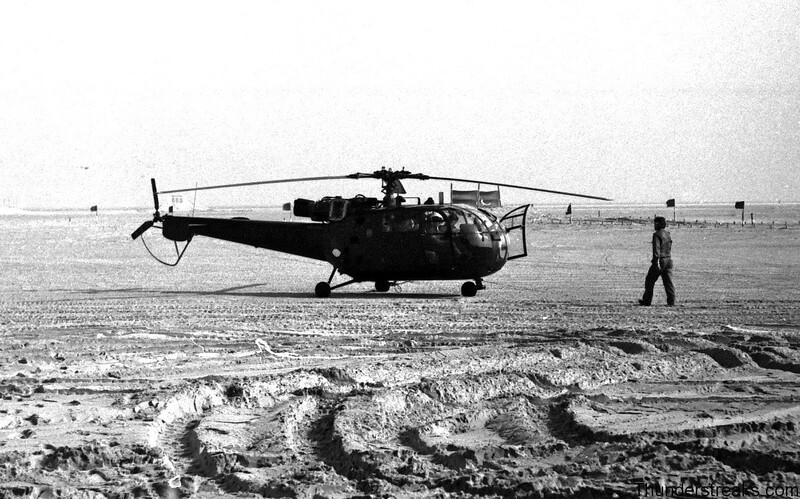 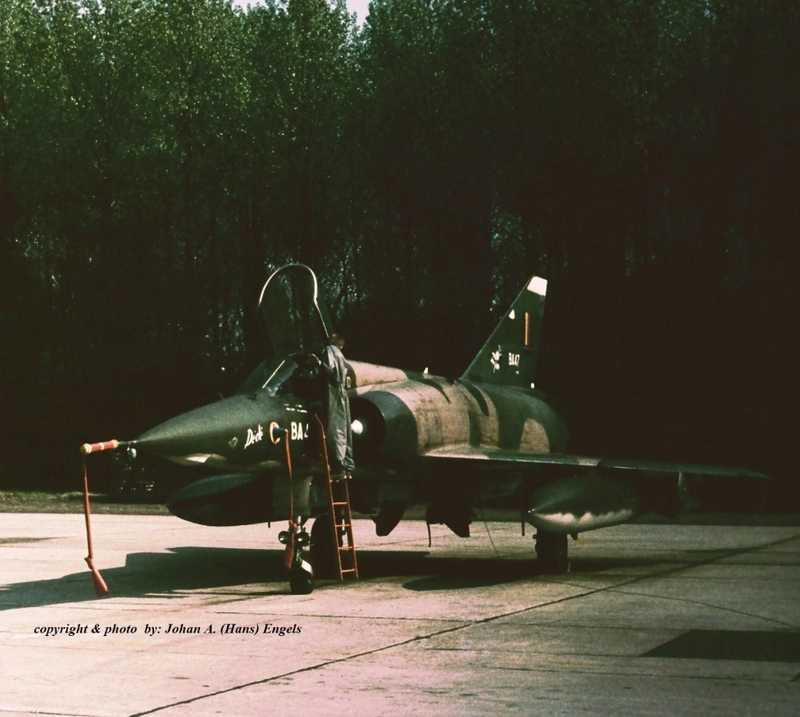 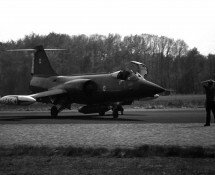 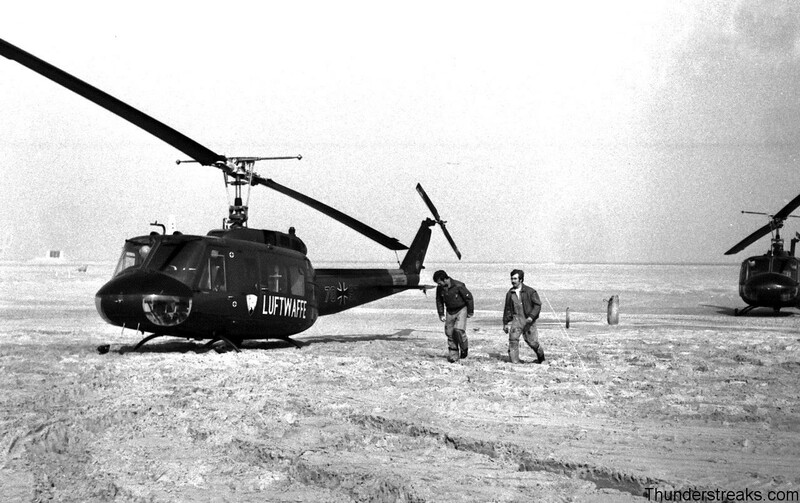 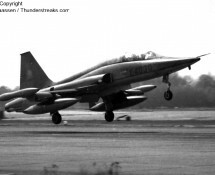 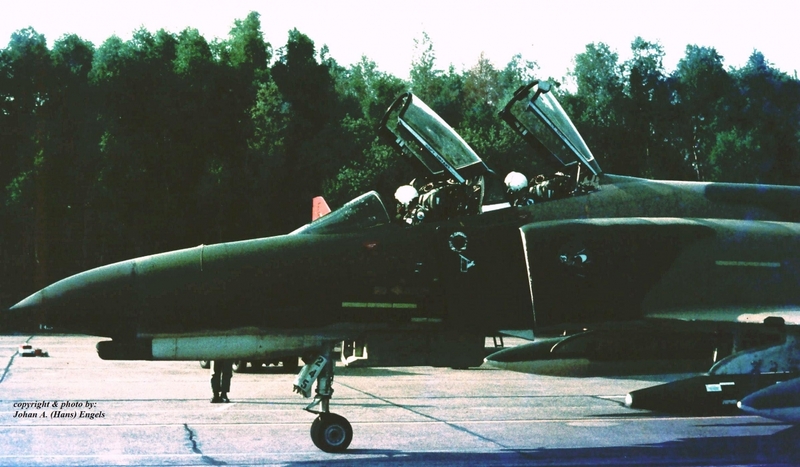 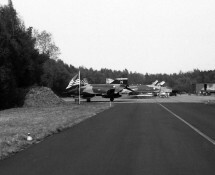 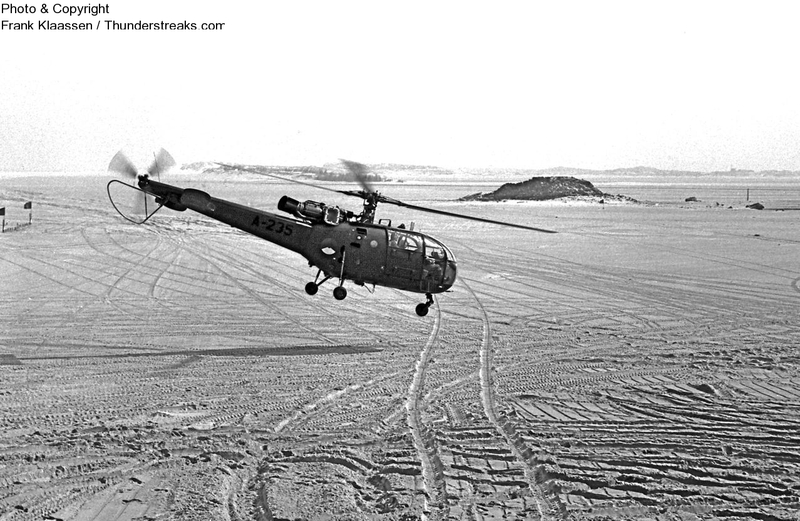 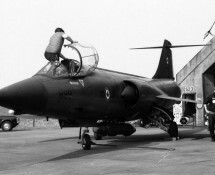 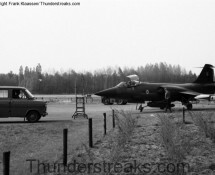 TWM was a contest between teams of 2ATAF (Allied Tactical Air Force) and 4ATAF. 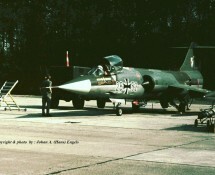 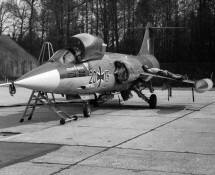 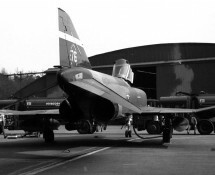 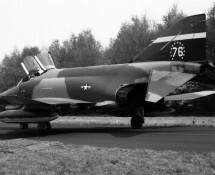 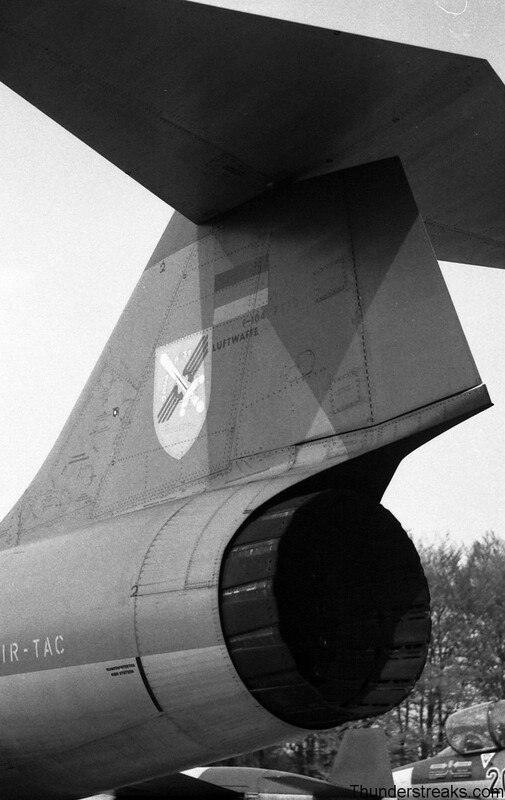 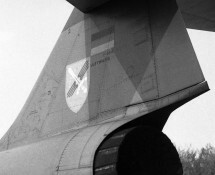 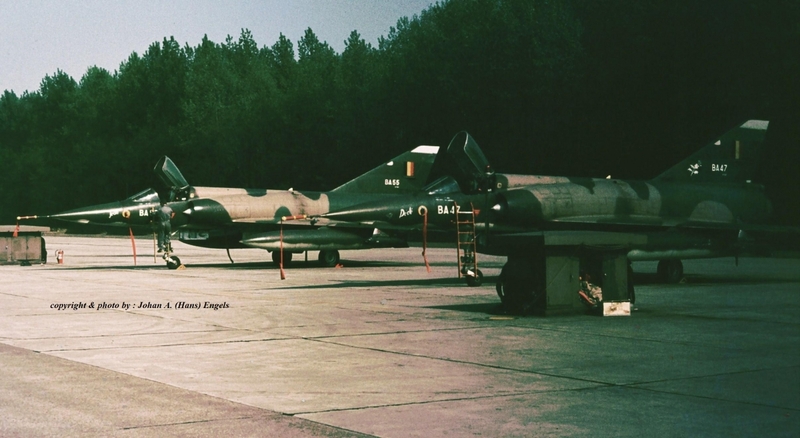 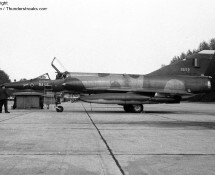 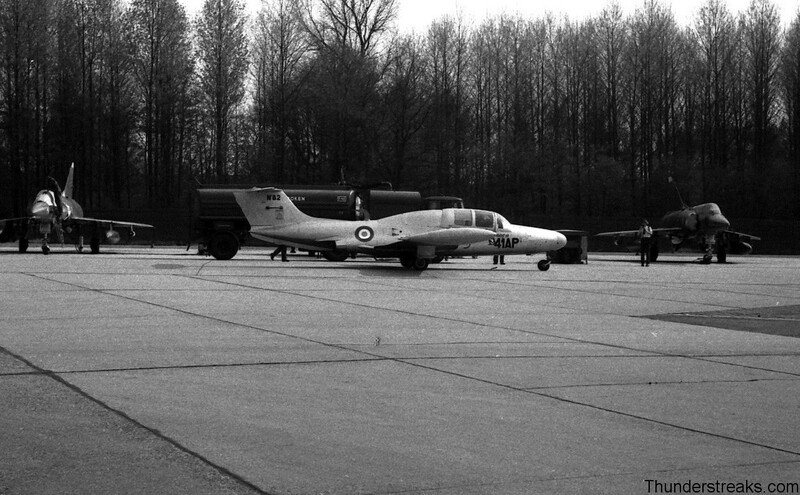 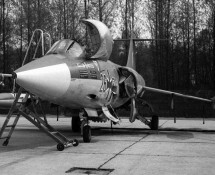 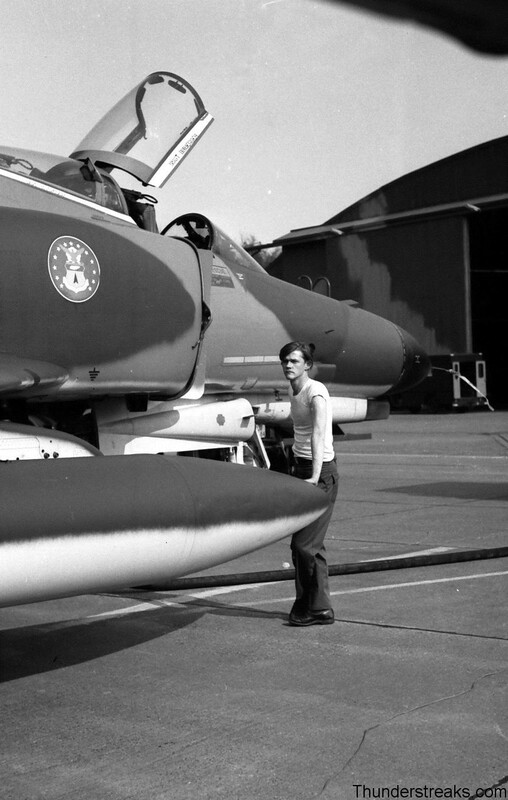 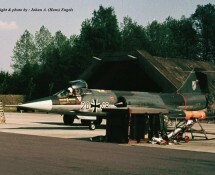 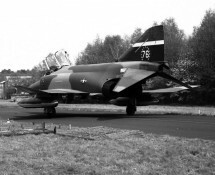 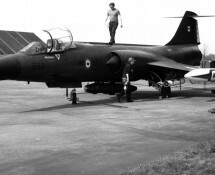 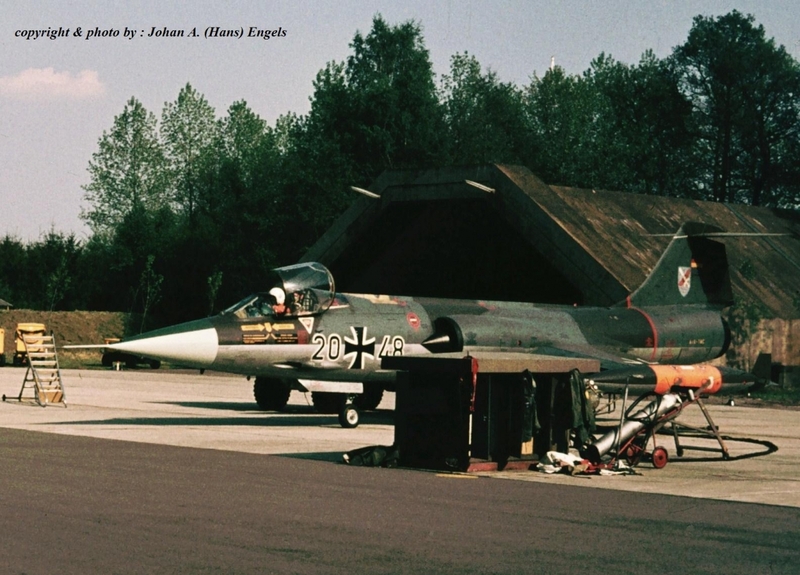 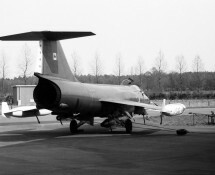 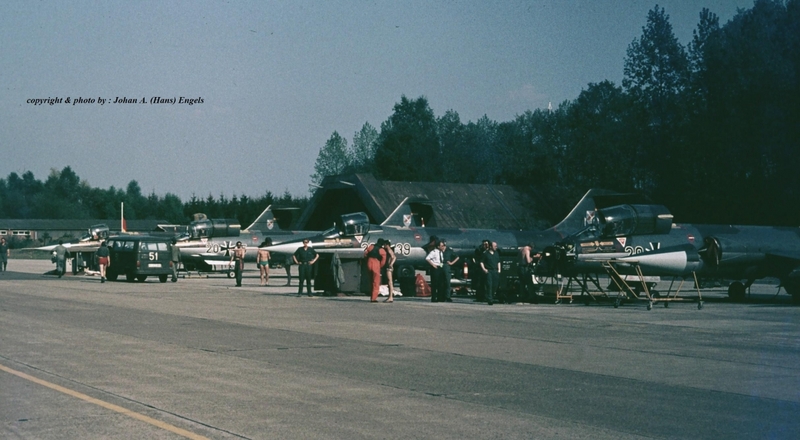 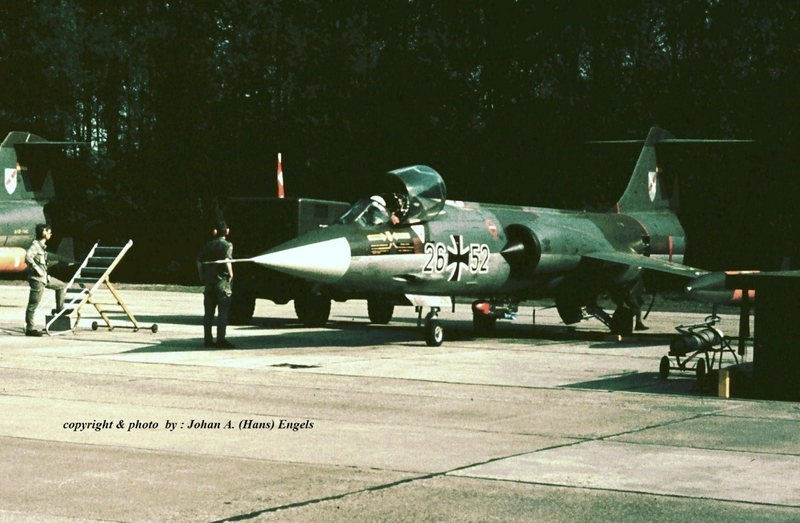 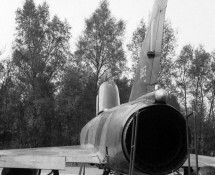 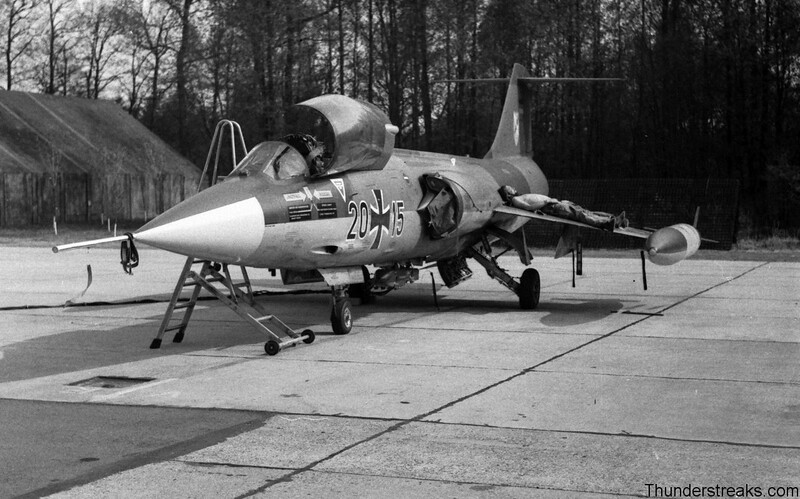 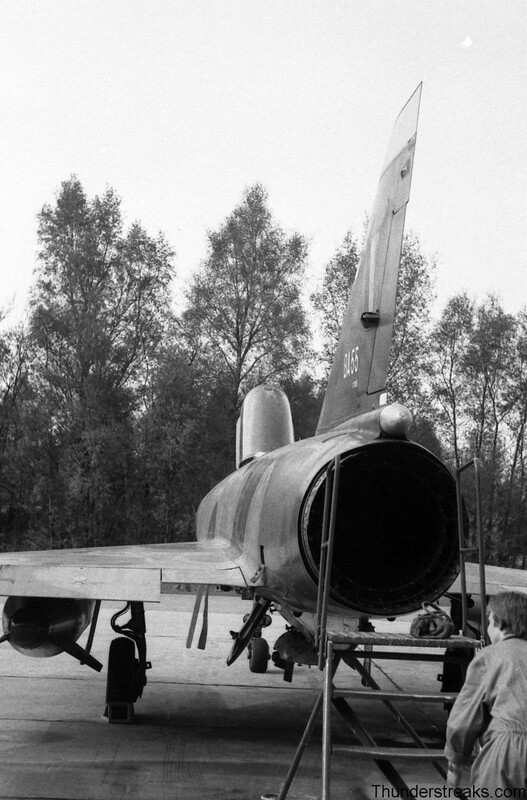 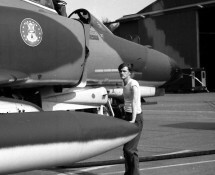 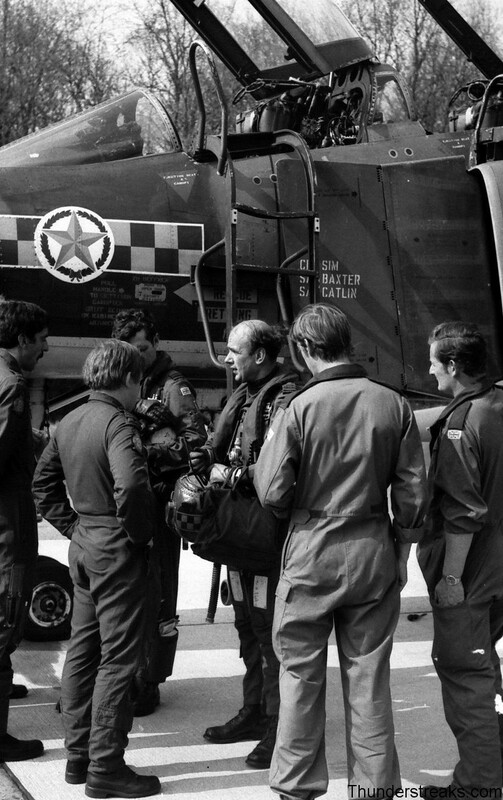 The team from 2ATAF consisted of NF-5As of 316 squadron KLu of Gilze-Rijen AB, Mirages of 1 sqn BAFBierset, Starfighters of 1/31 JaBo Luftwaffe from Nörvenich and Phantoms of 31 sqn RAFG. 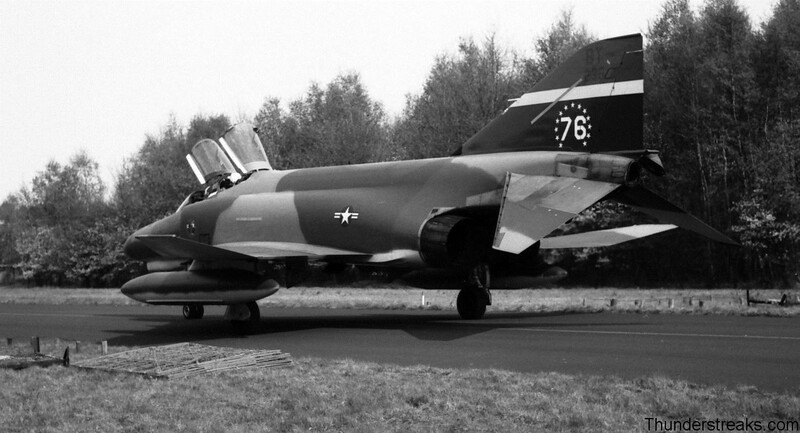 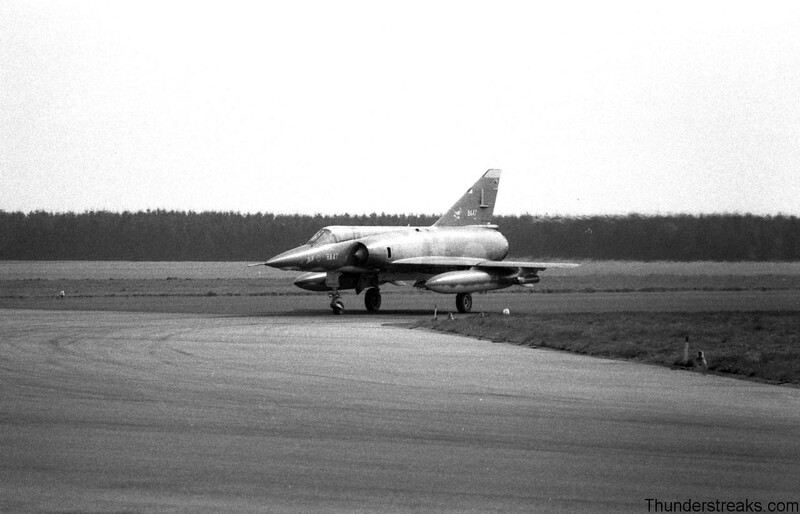 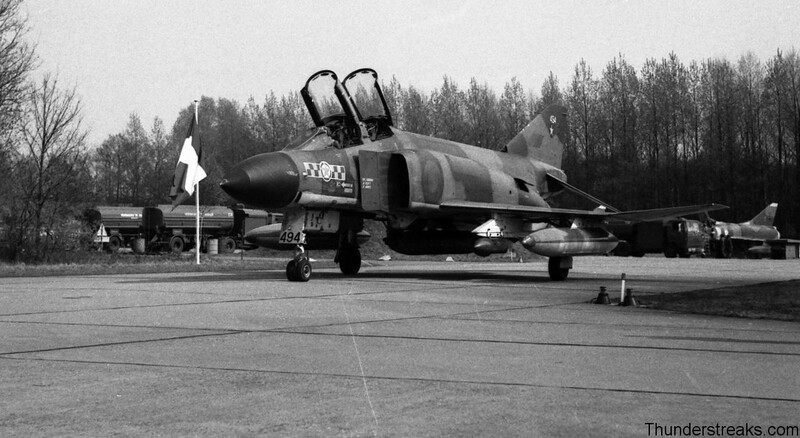 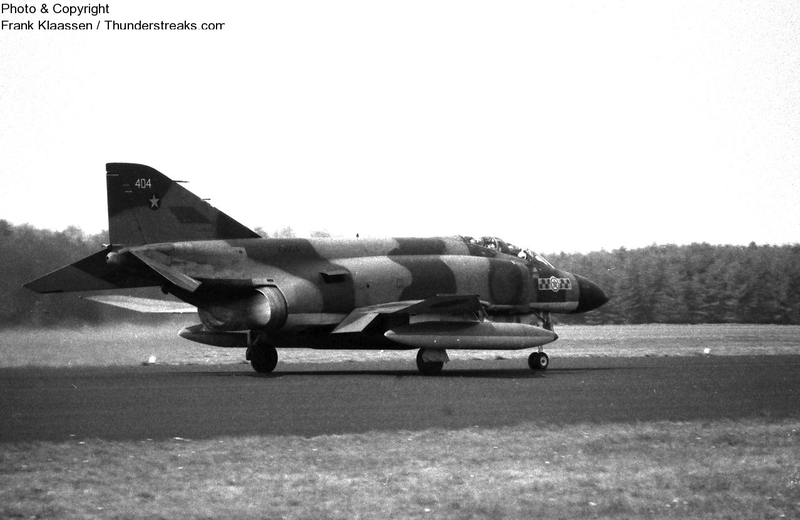 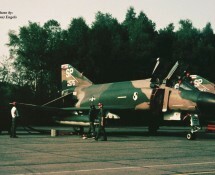 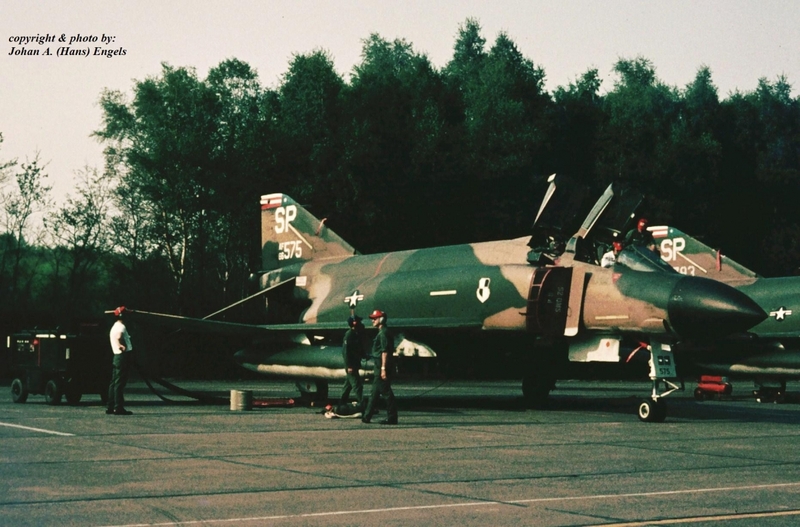 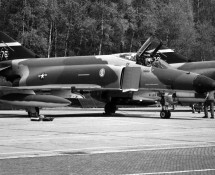 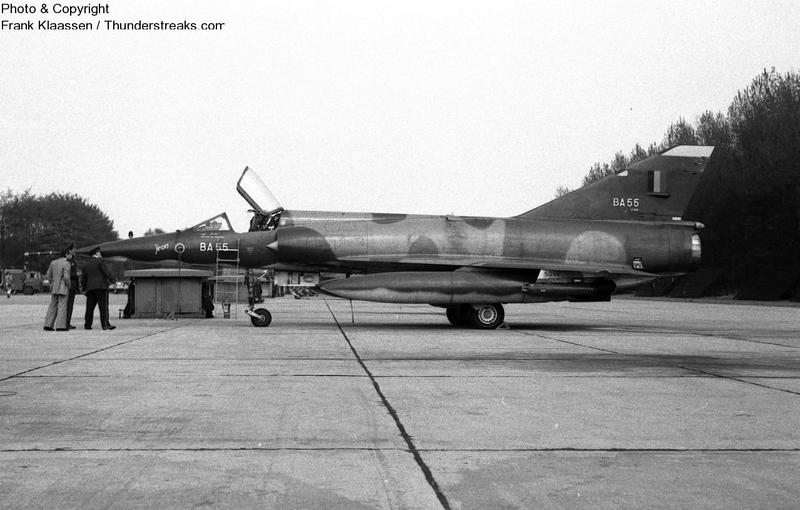 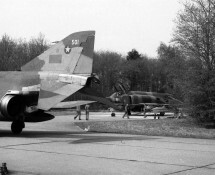 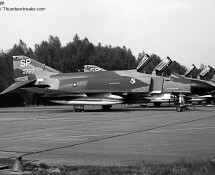 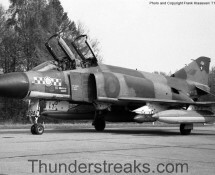 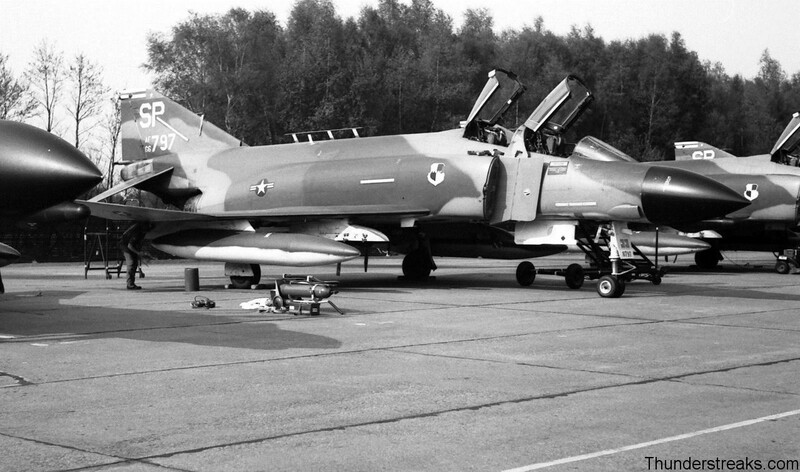 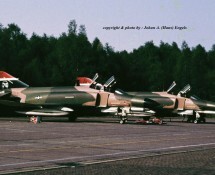 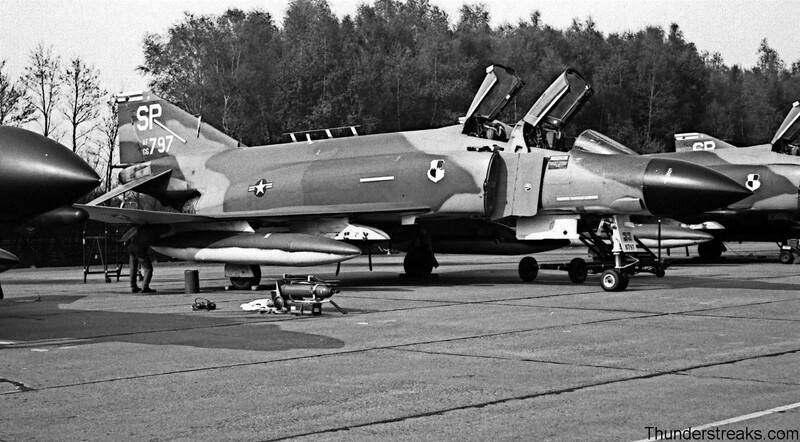 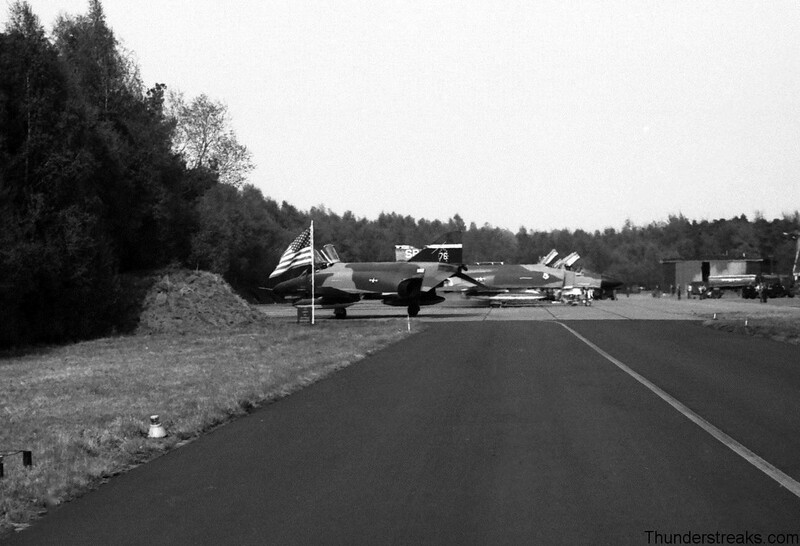 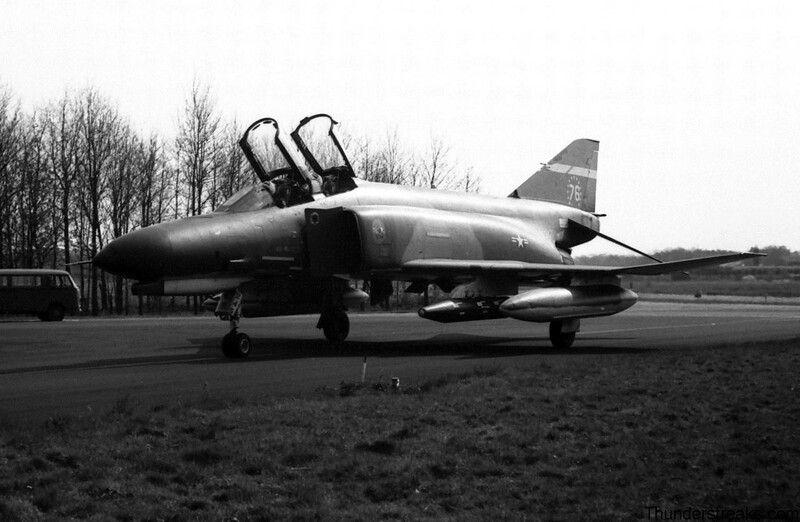 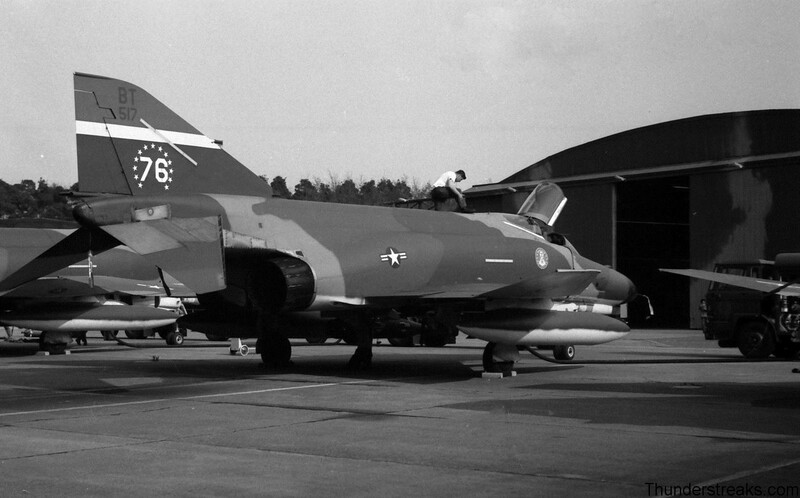 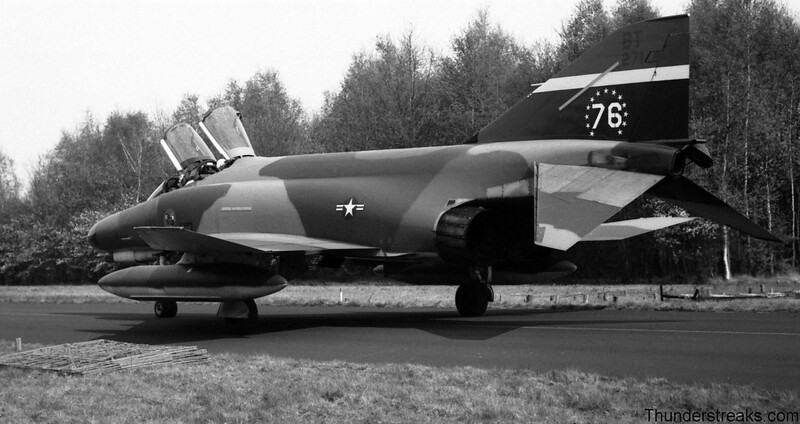 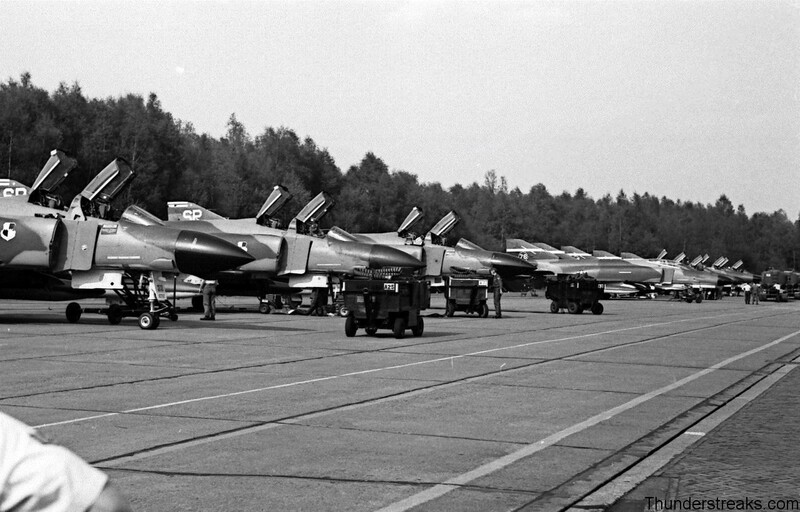 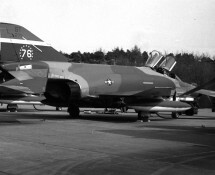 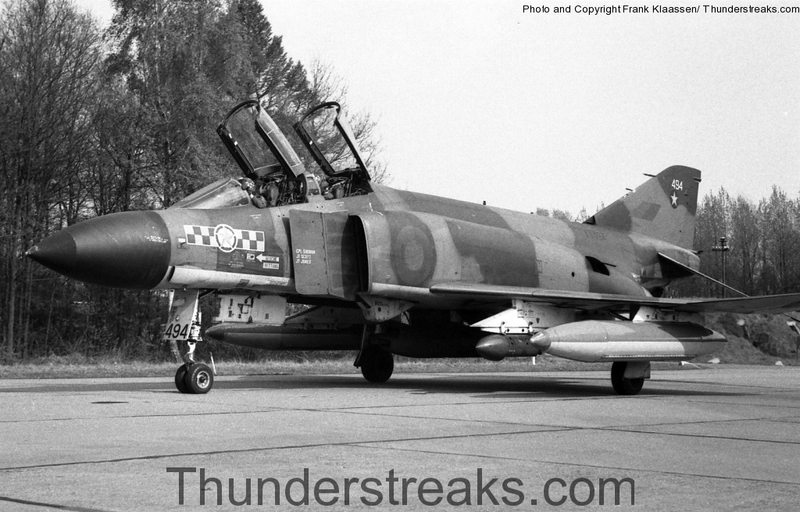 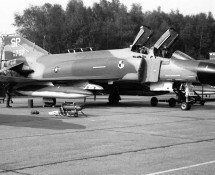 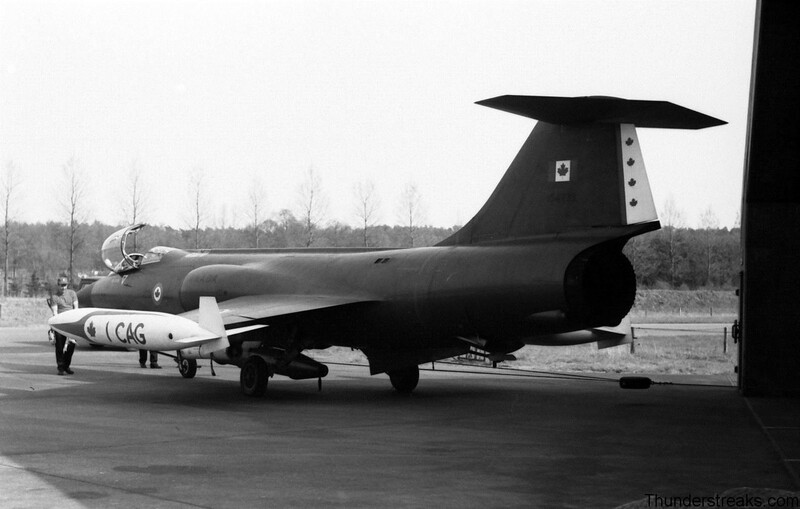 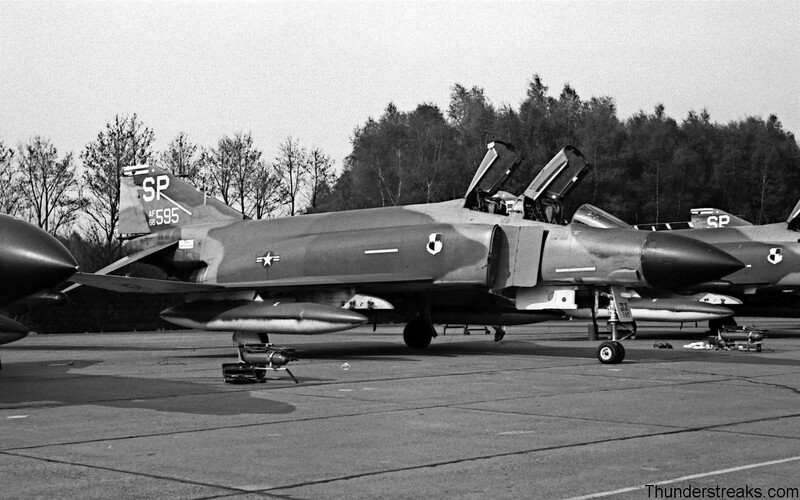 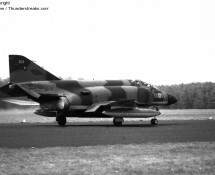 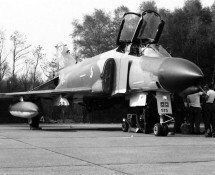 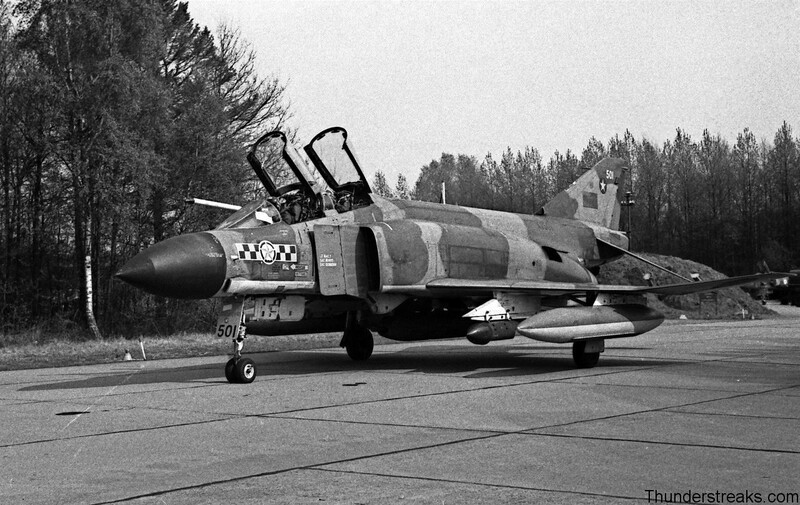 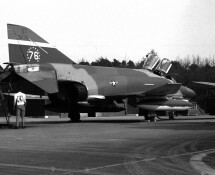 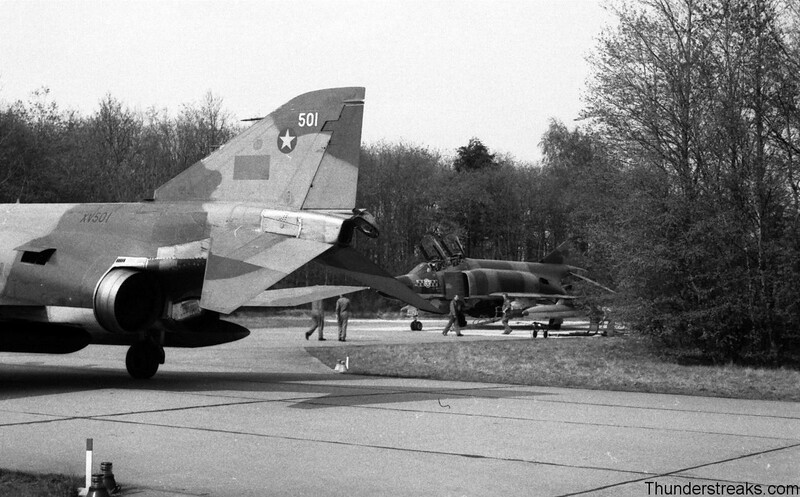 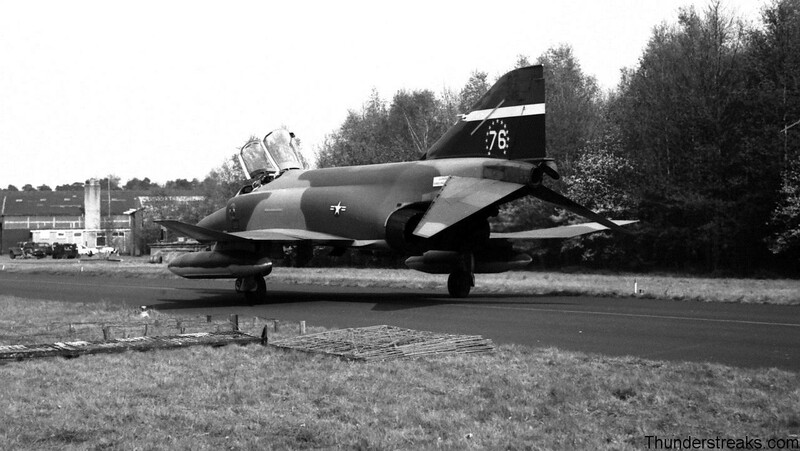 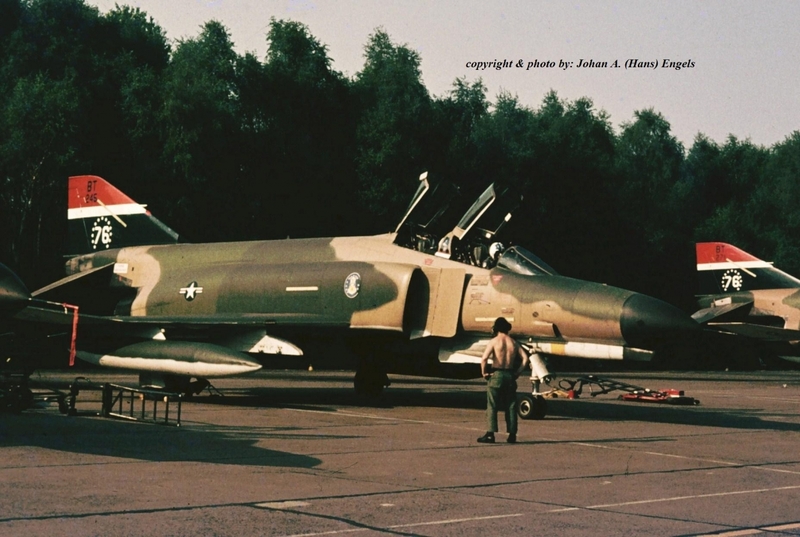 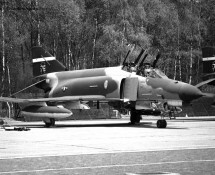 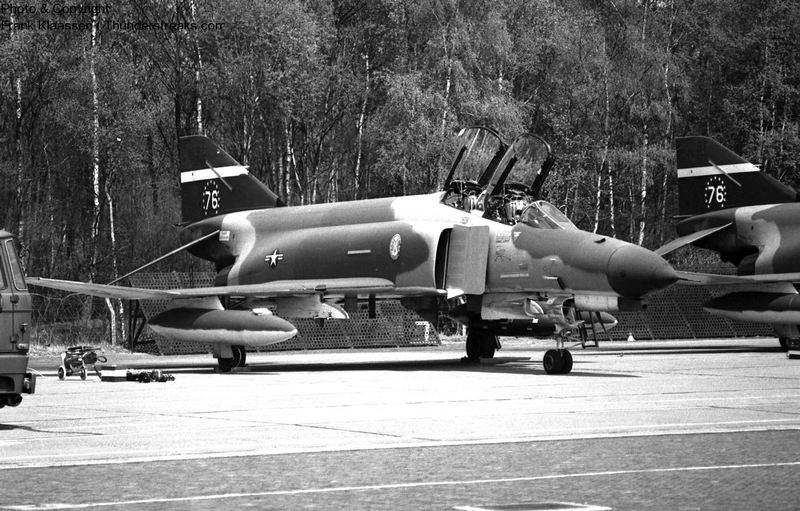 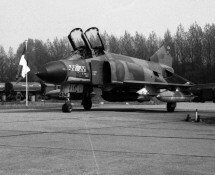 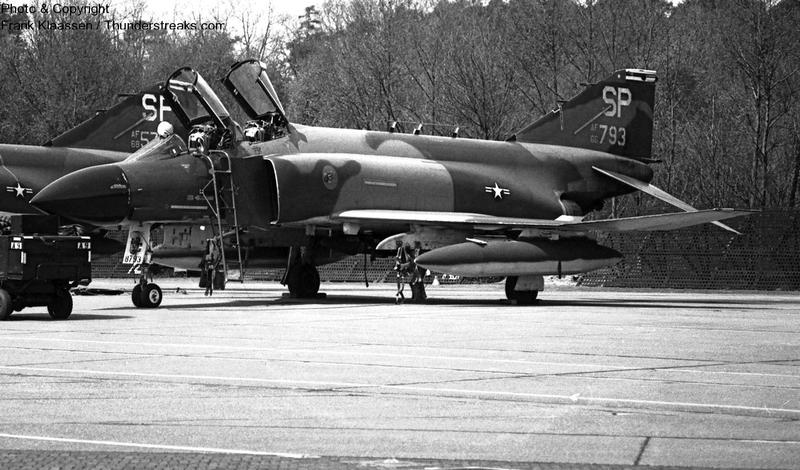 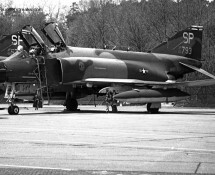 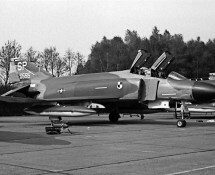 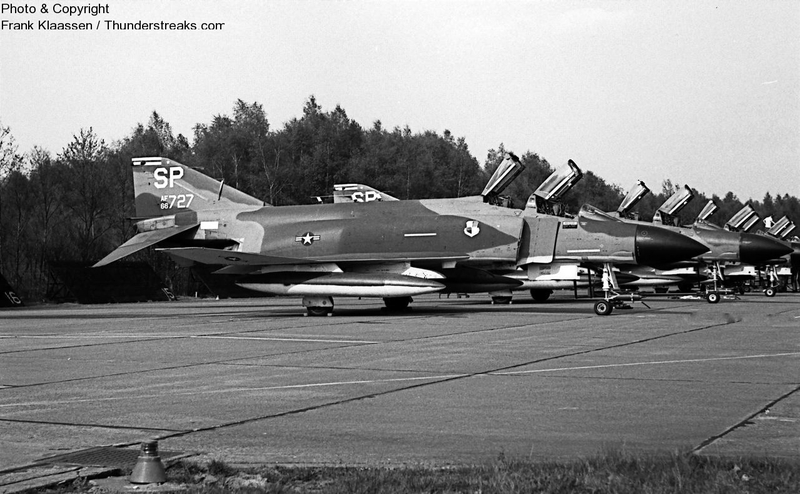 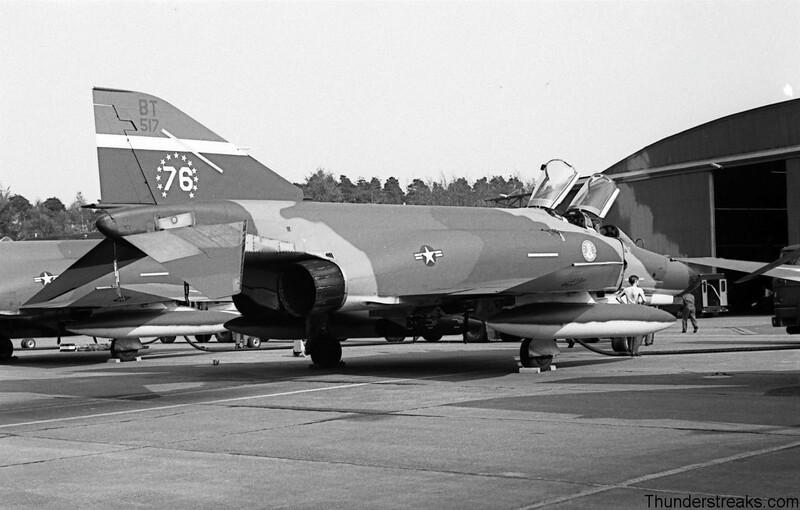 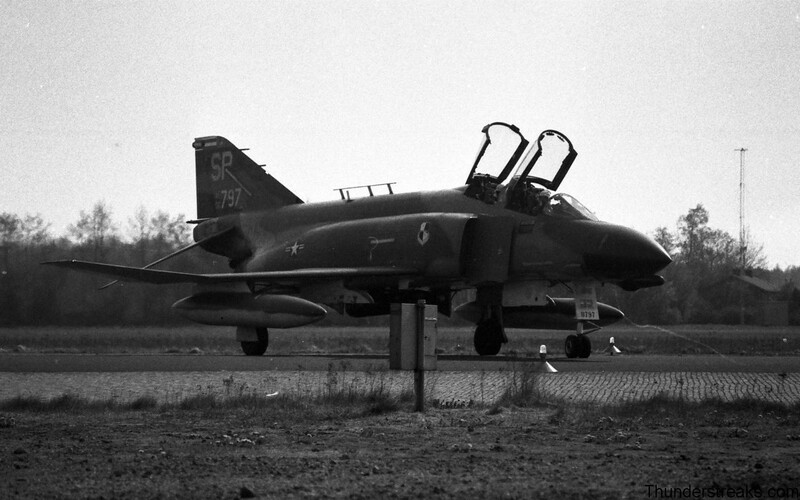 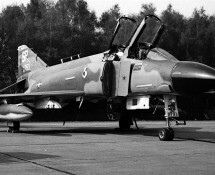 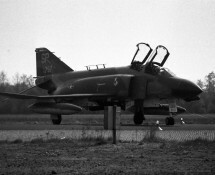 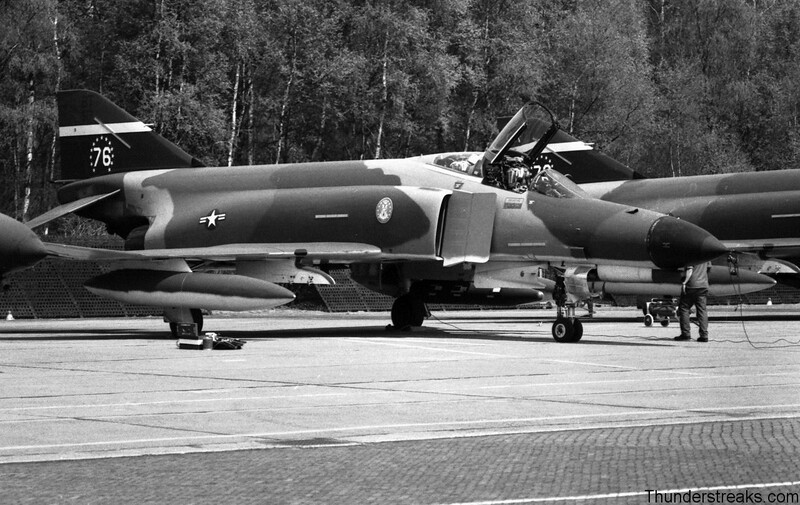 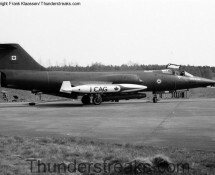 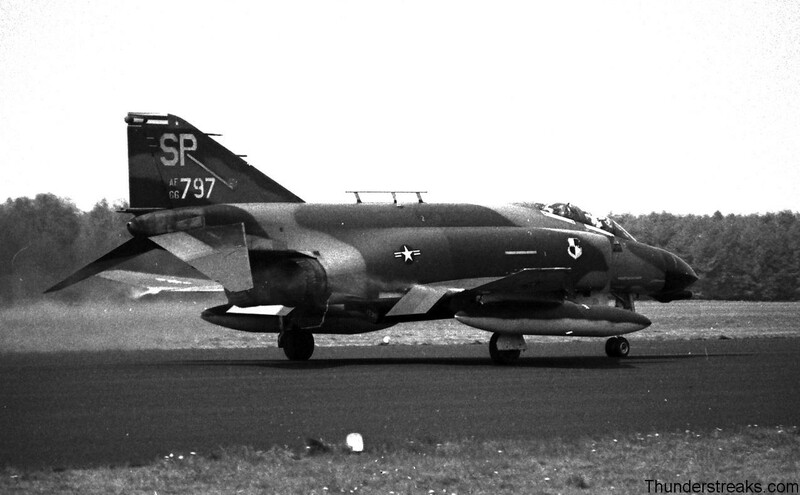 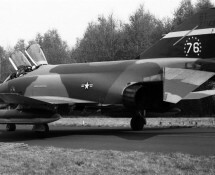 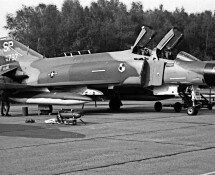 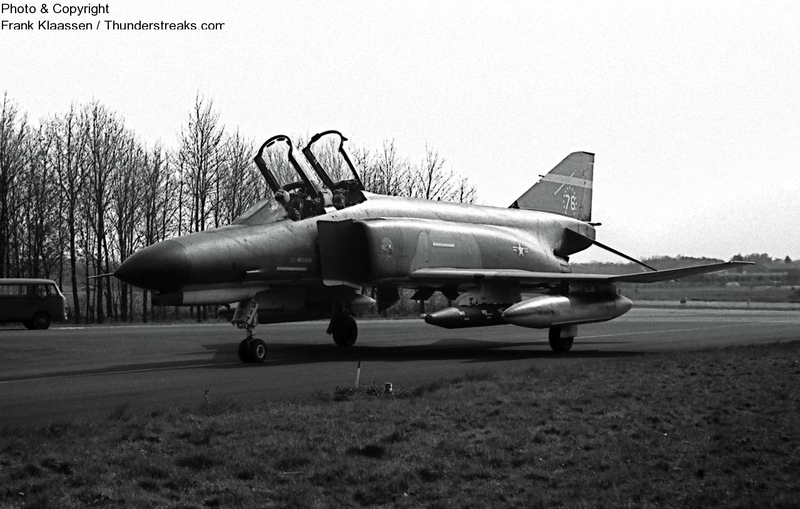 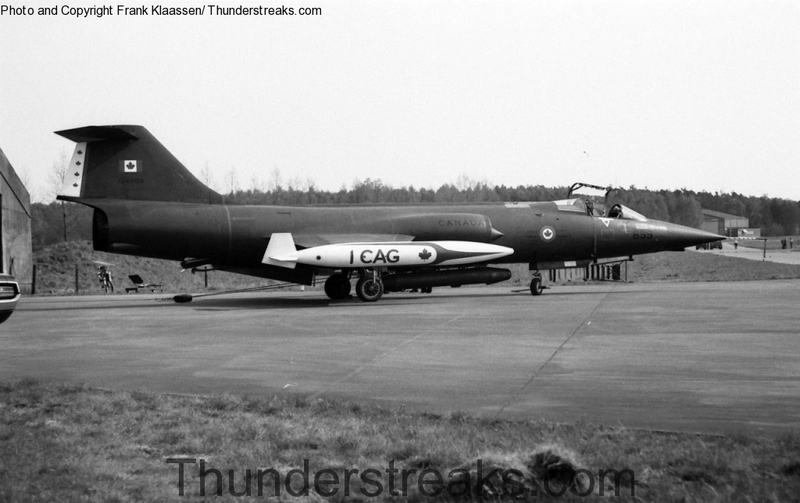 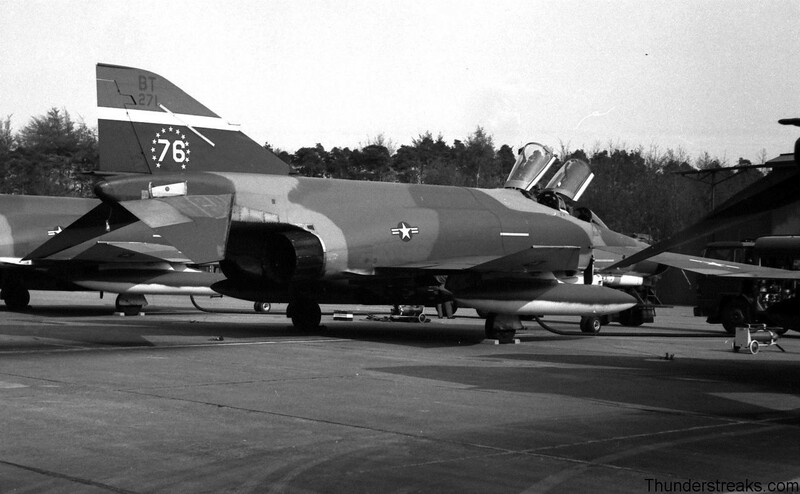 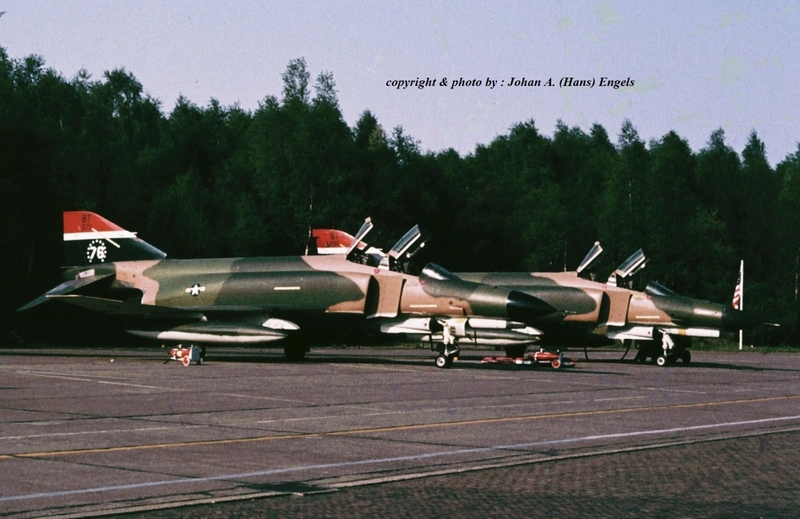 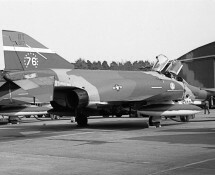 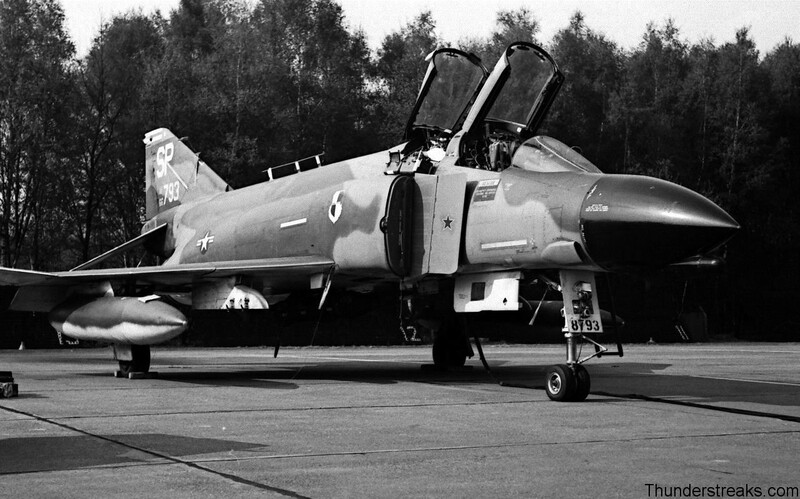 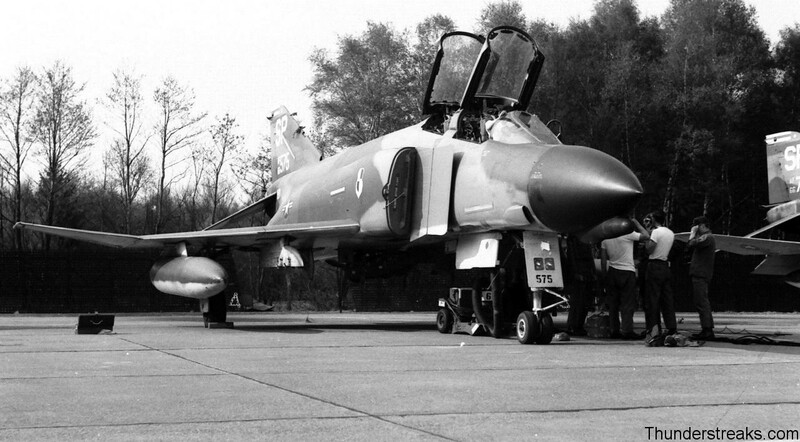 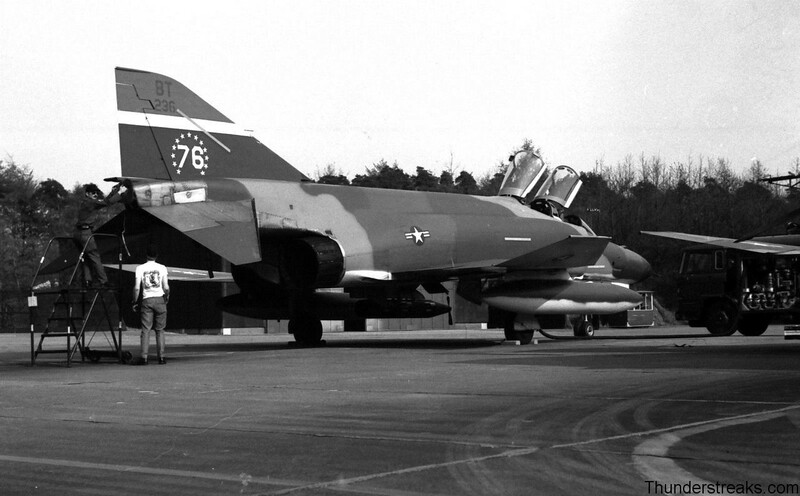 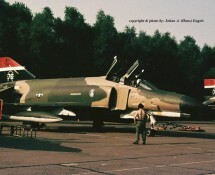 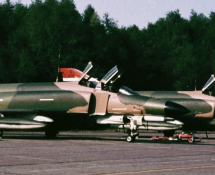 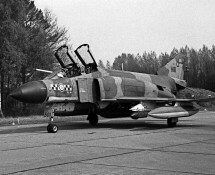 4ATAF consisted of 1/32 JaBo Luftwaffe, 1 CAG Canada, 22TFS/36TFW USAF and 23TFS/52TFW USAF from Spangdahlem (flying F-4D’s ). 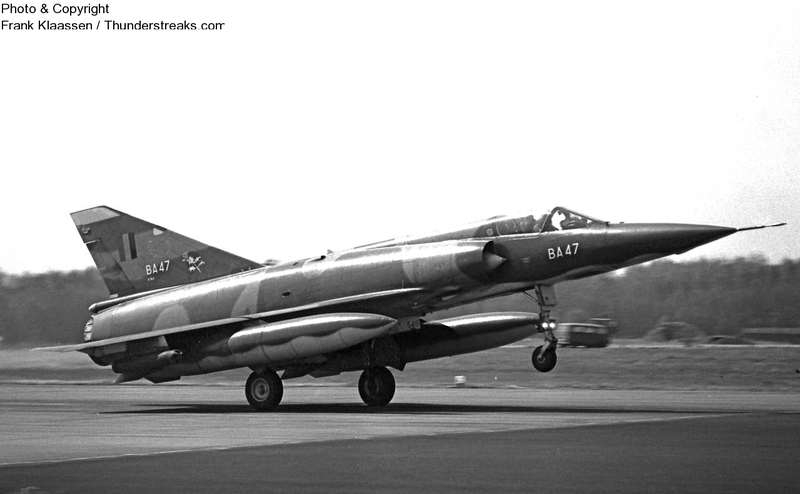 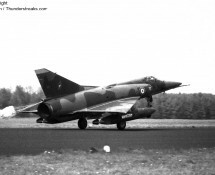 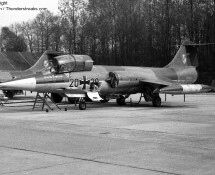 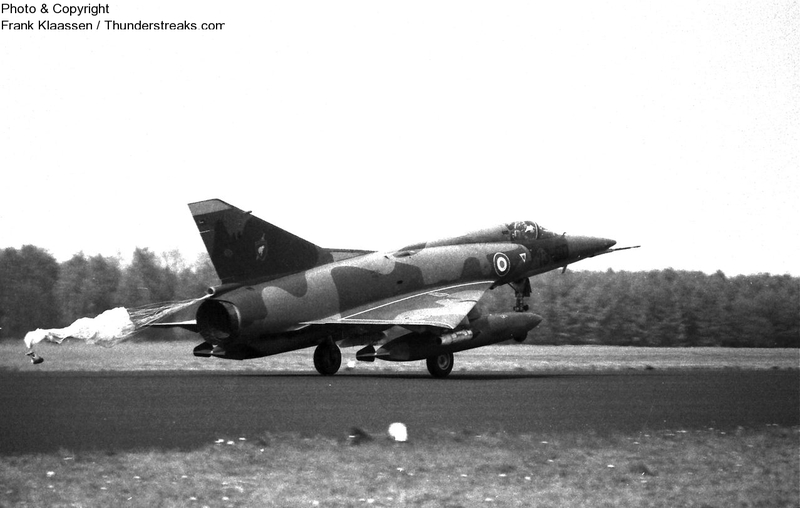 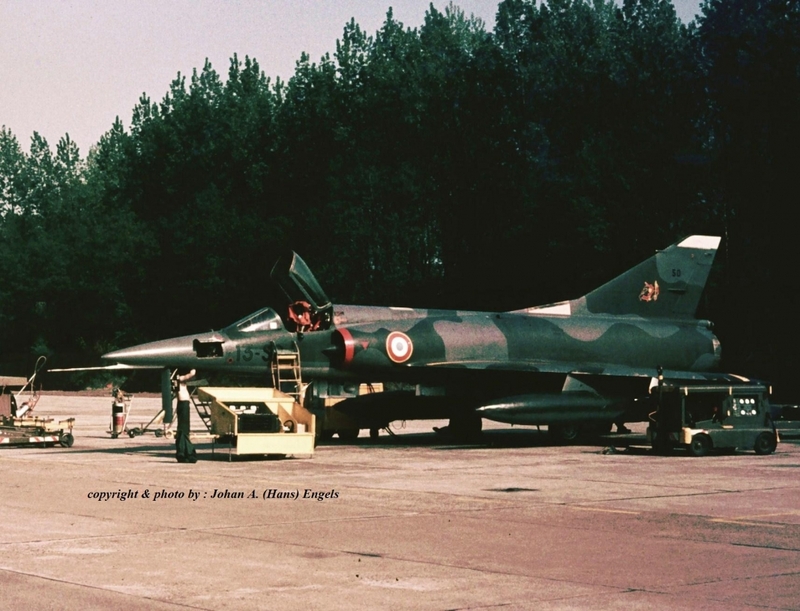 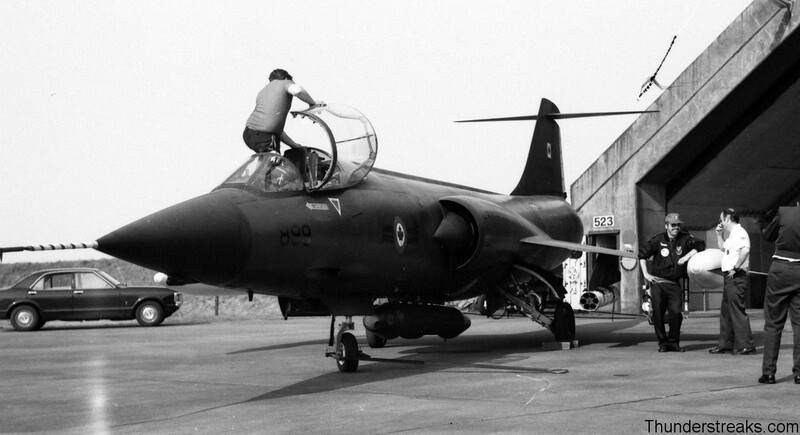 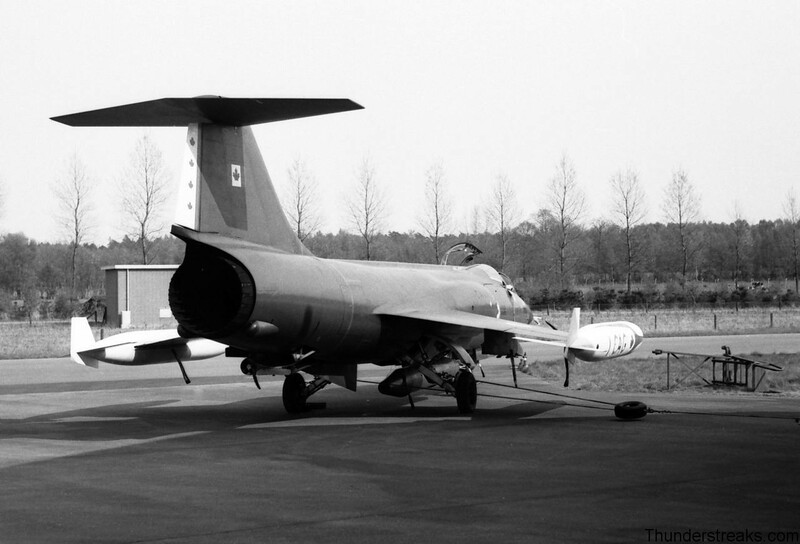 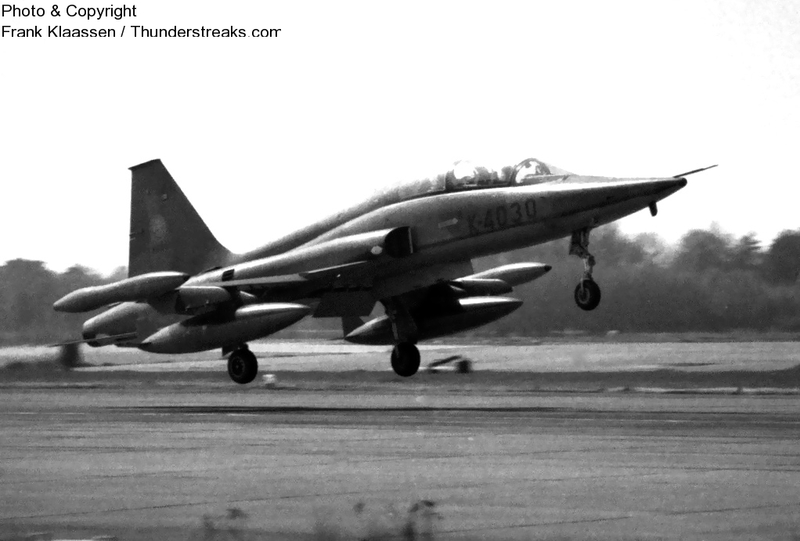 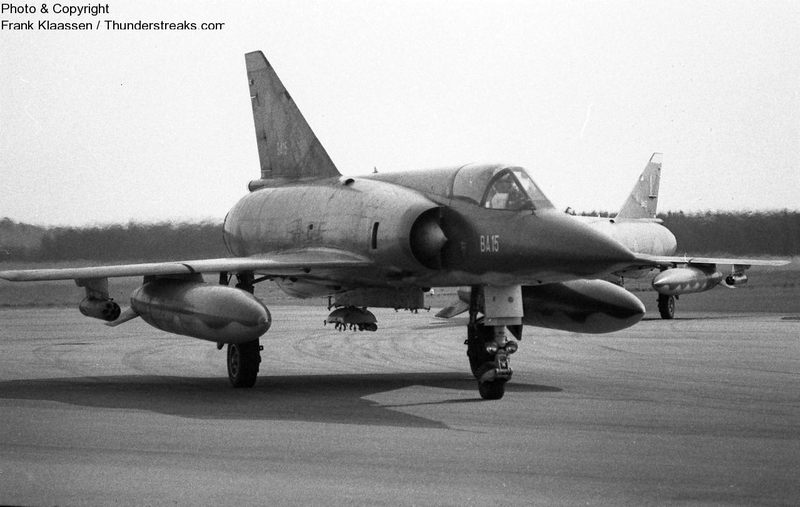 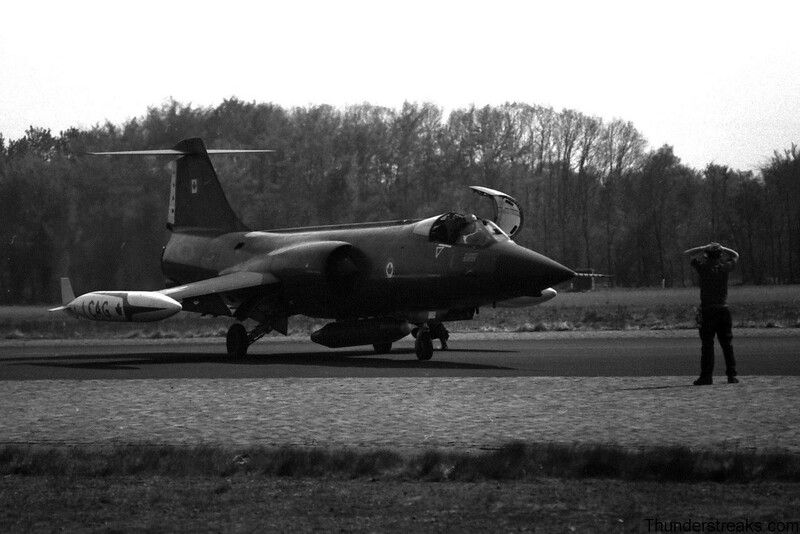 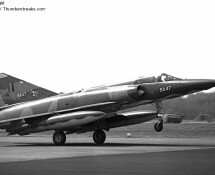 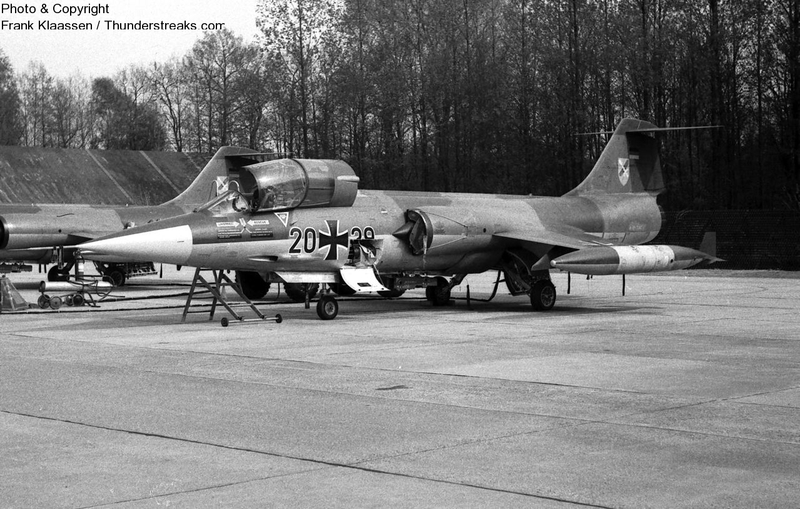 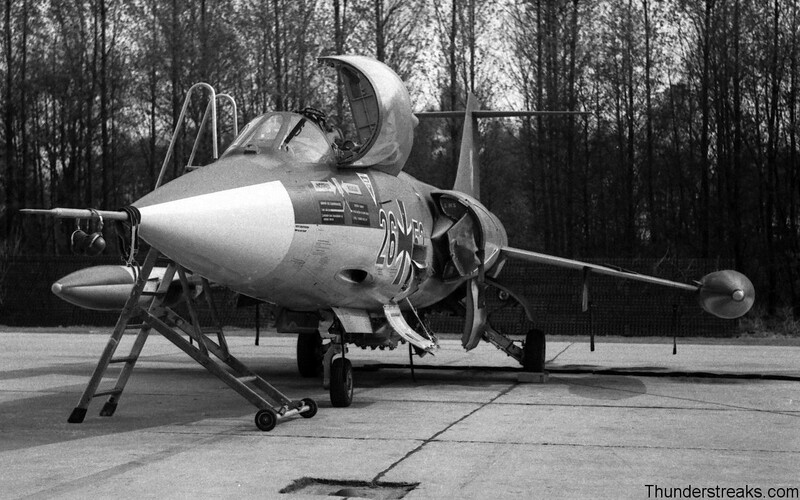 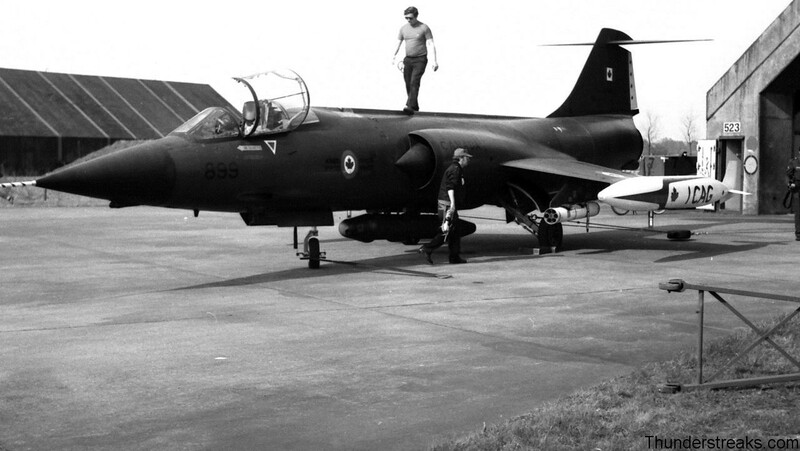 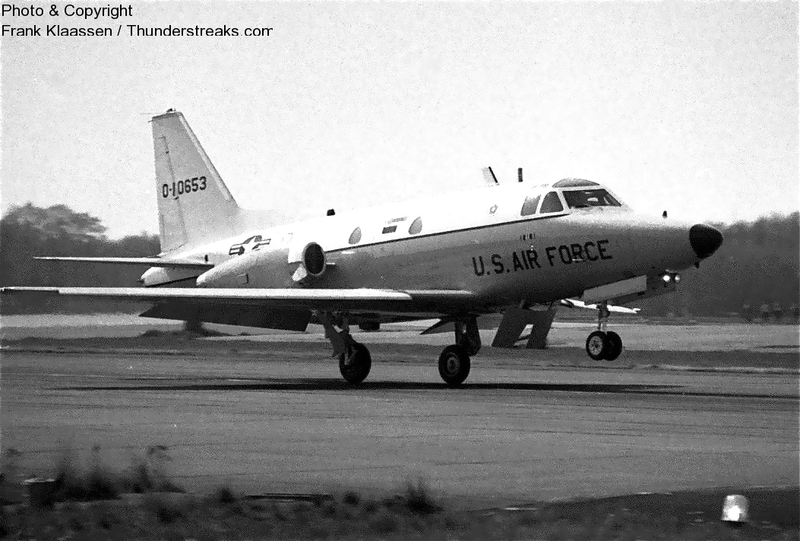 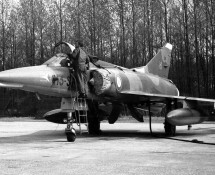 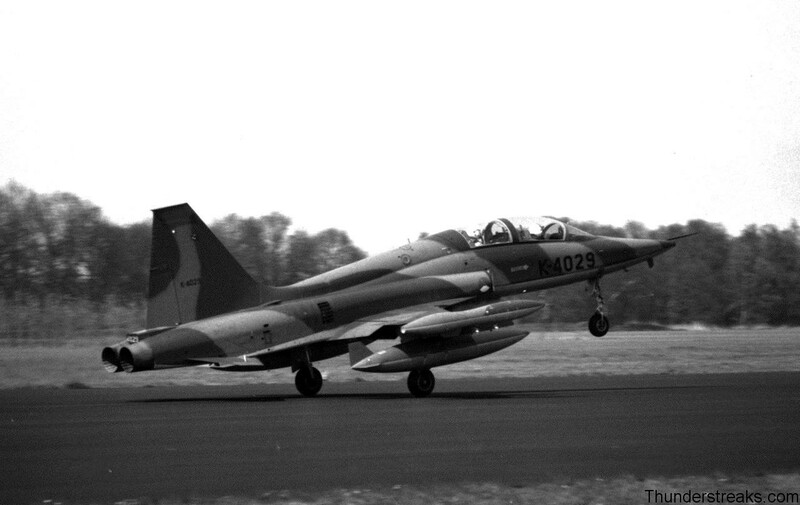 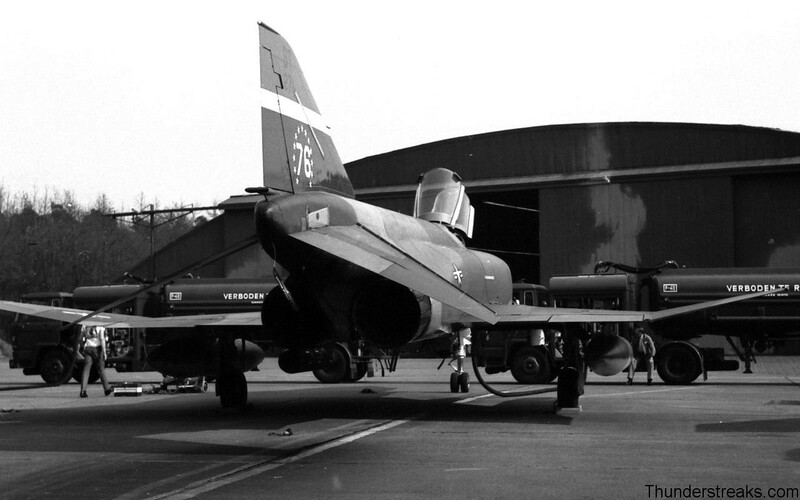 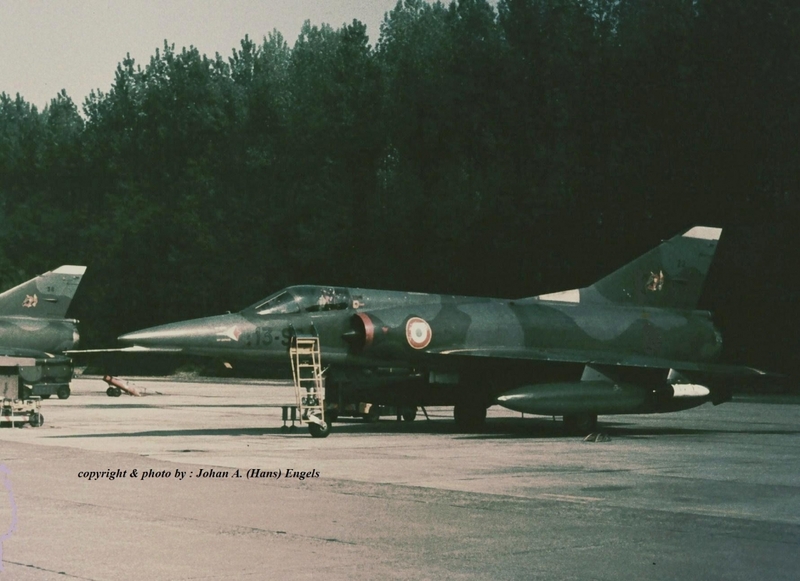 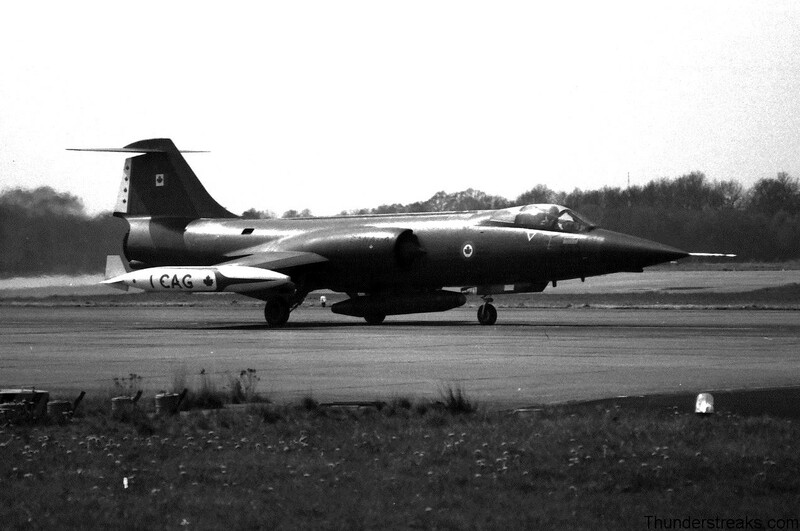 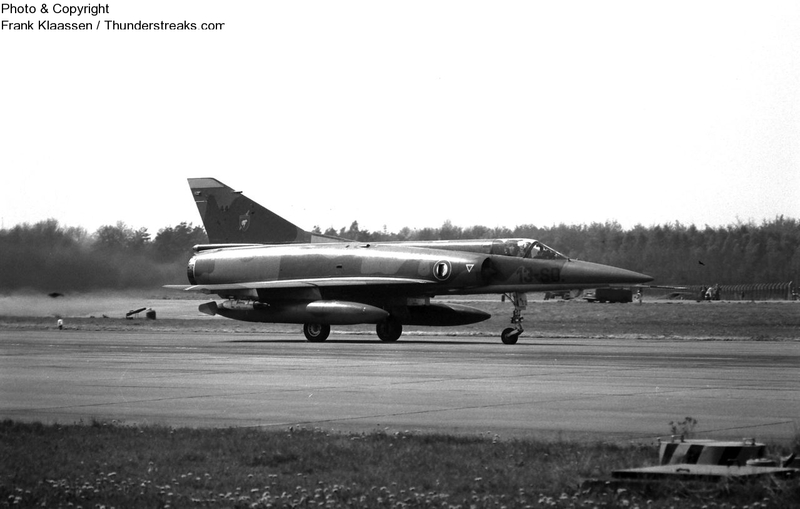 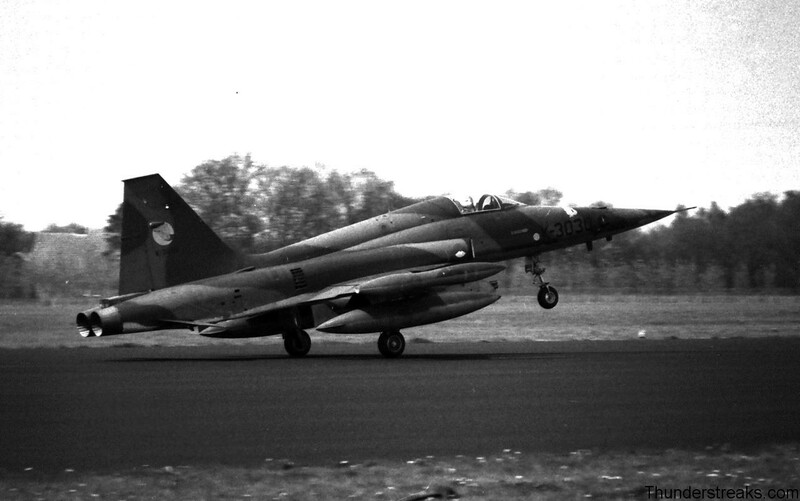 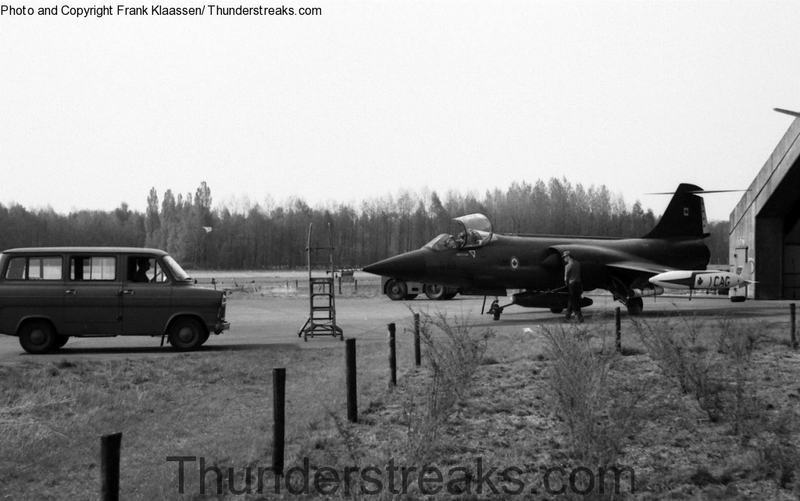 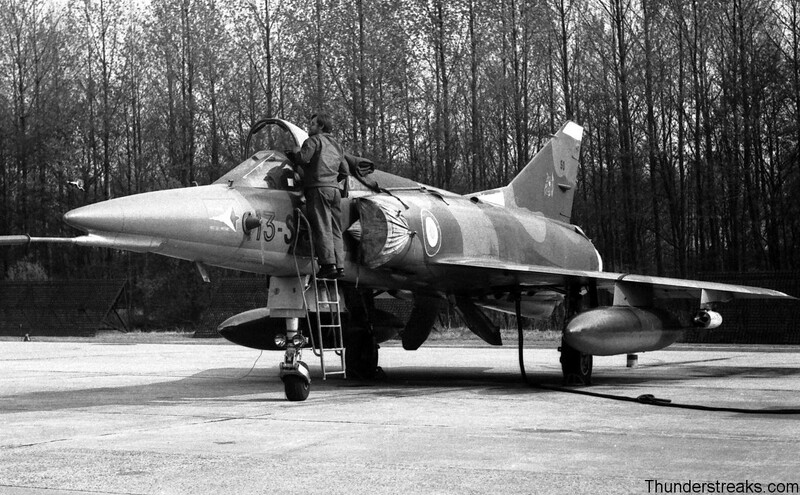 The French AF had sent a guest team, 3/13 Escadre from Colmar, equipped with Mirage 5Fs.The chase planes were NF-5Bs of Twente.